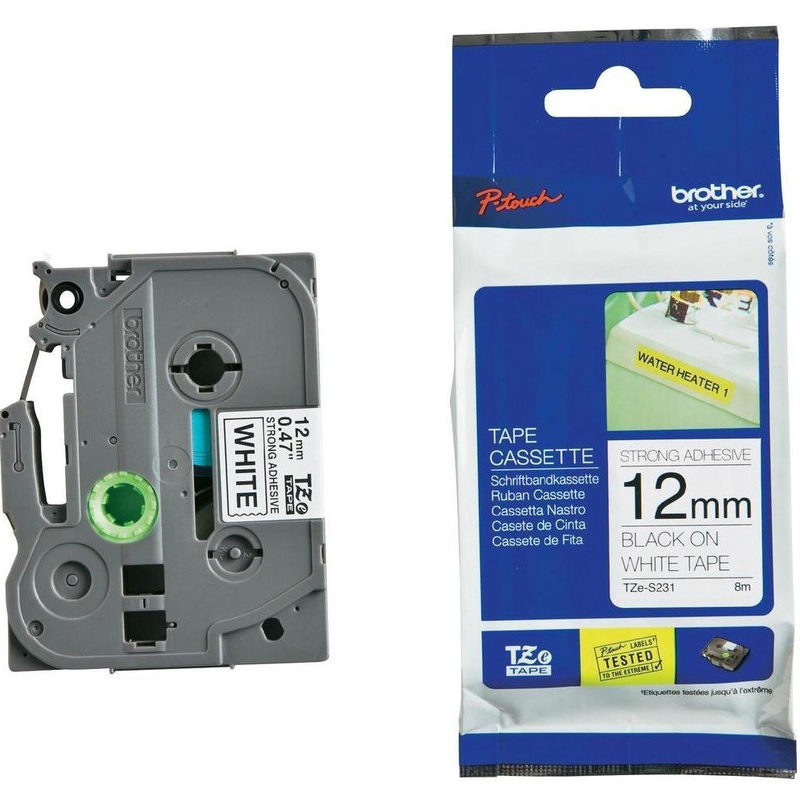 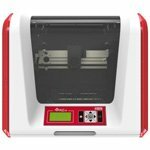 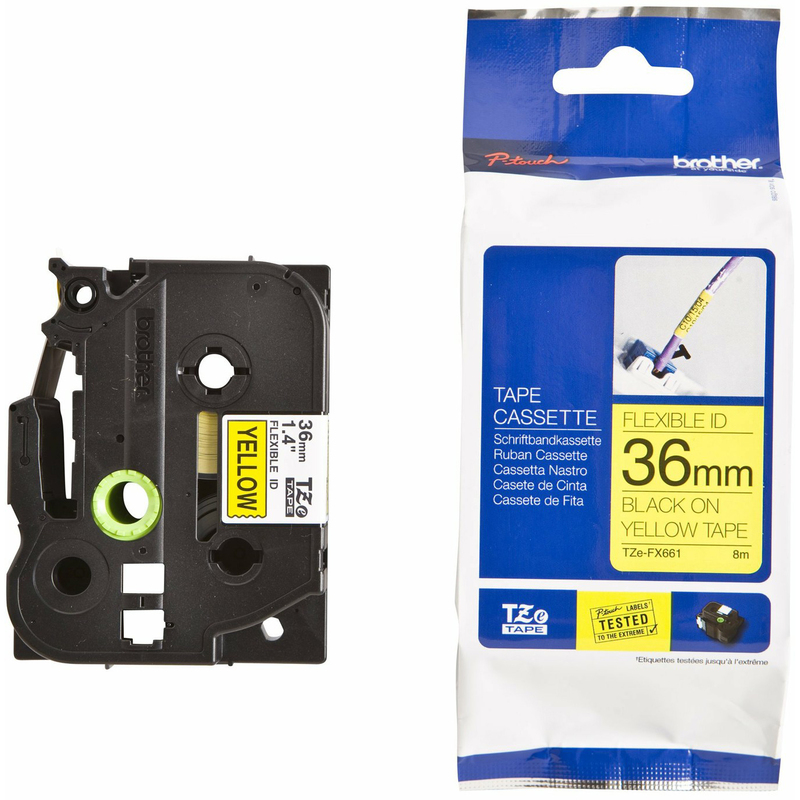 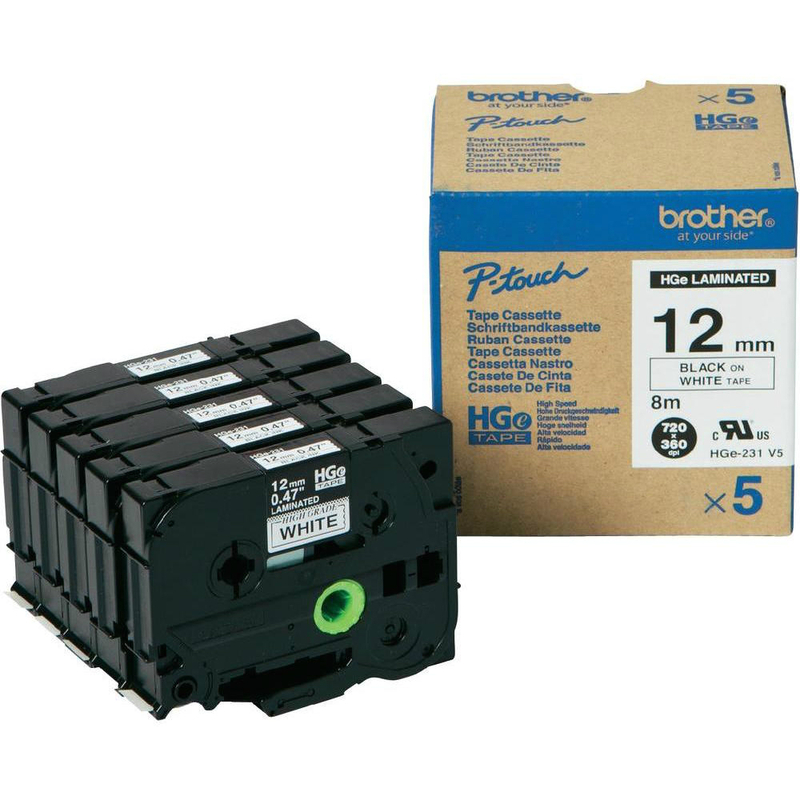 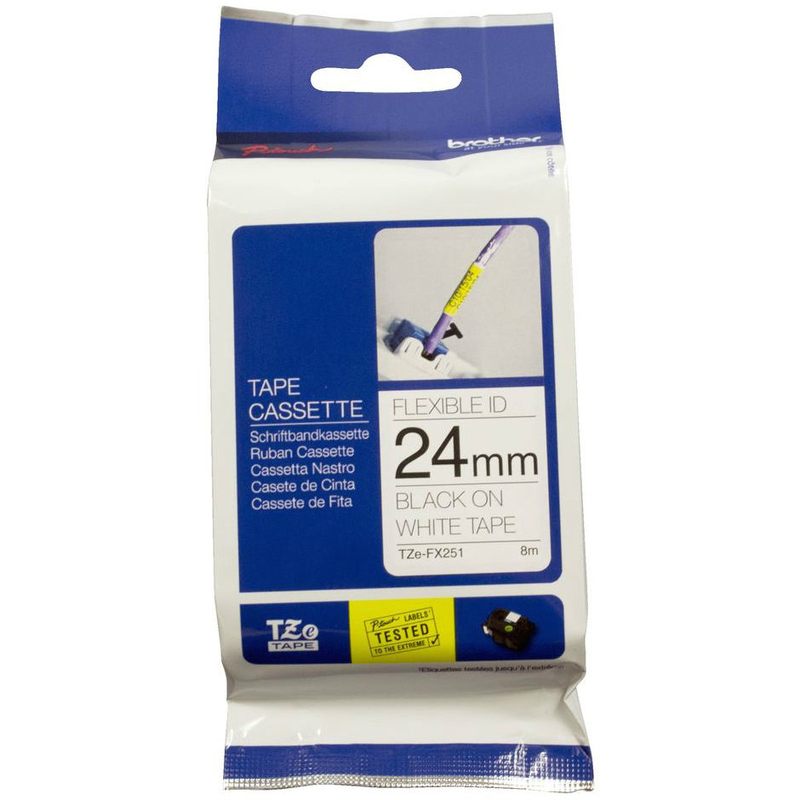 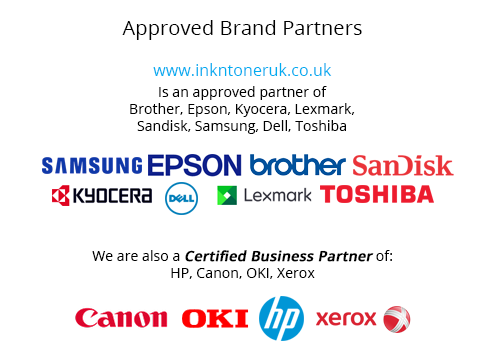 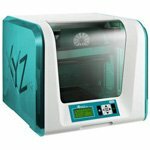 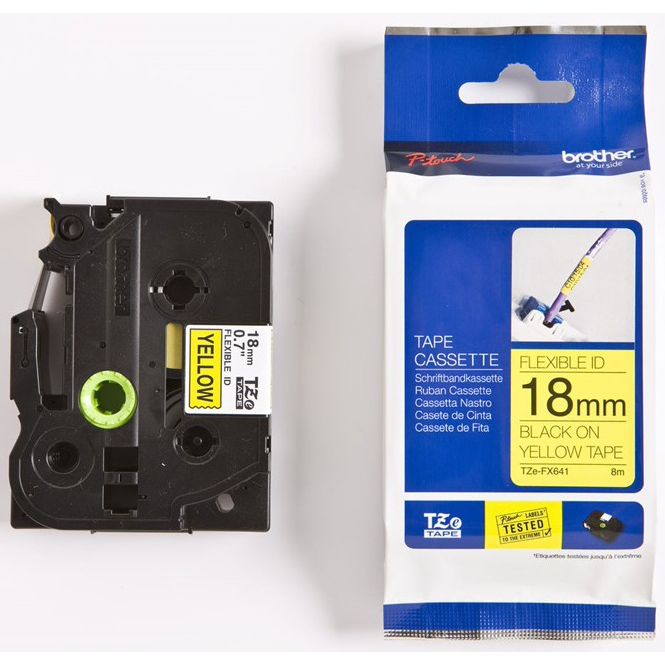 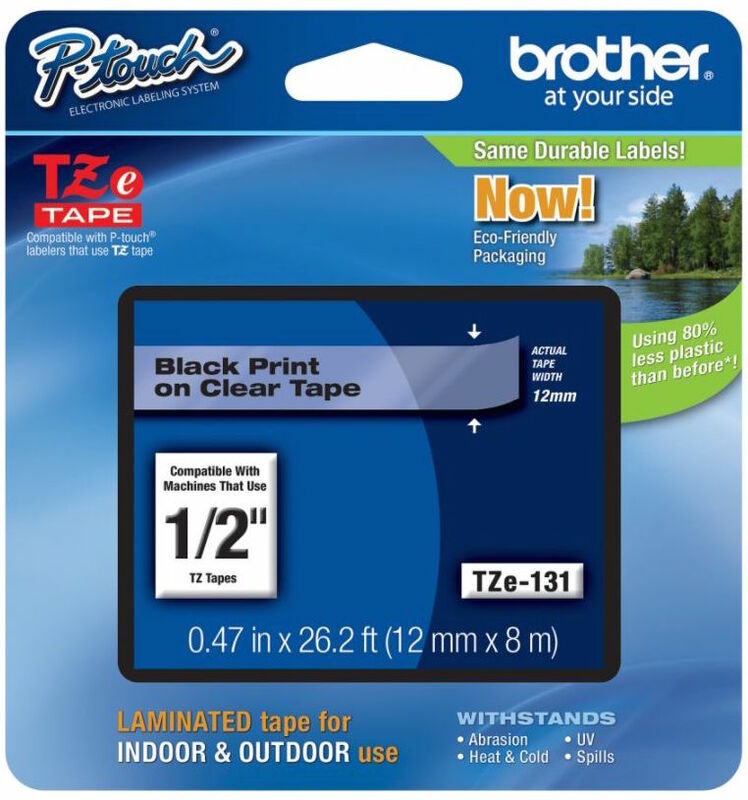 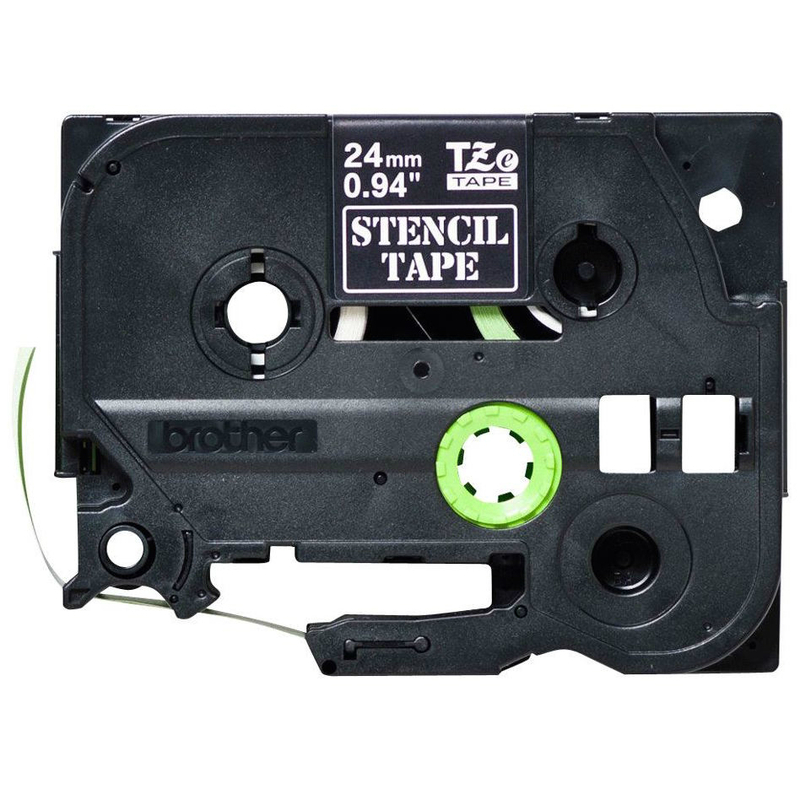 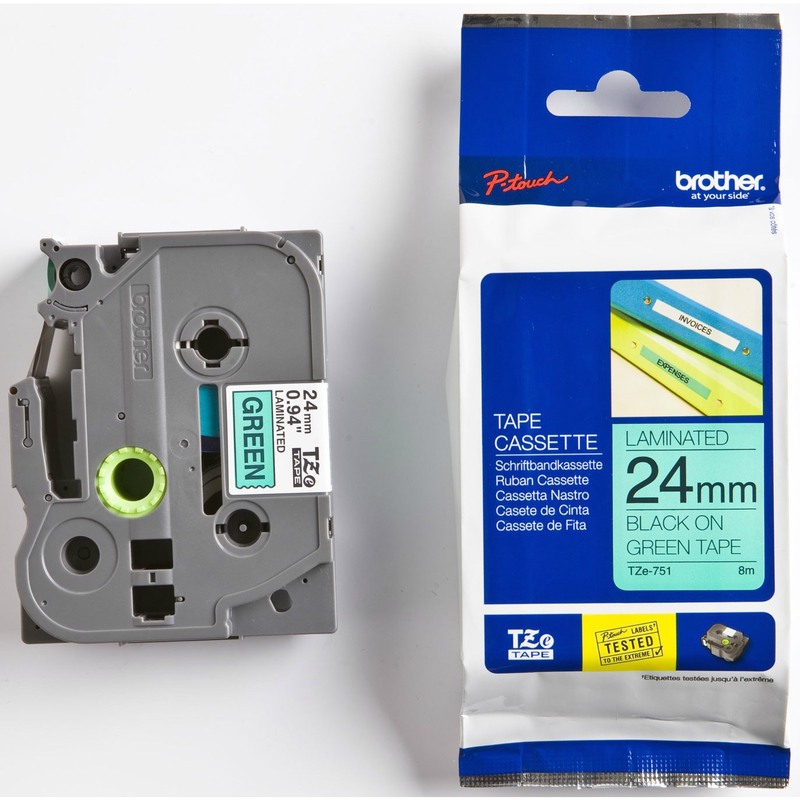 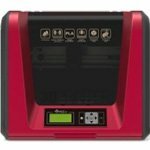 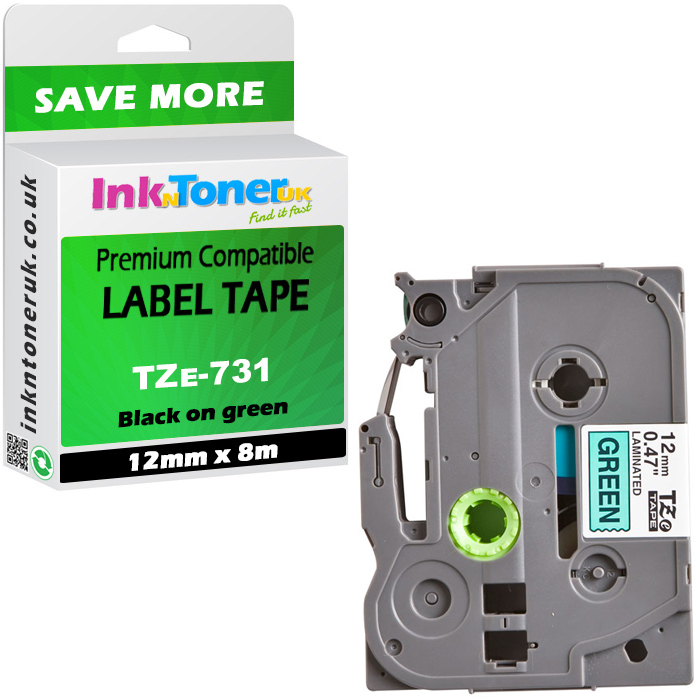 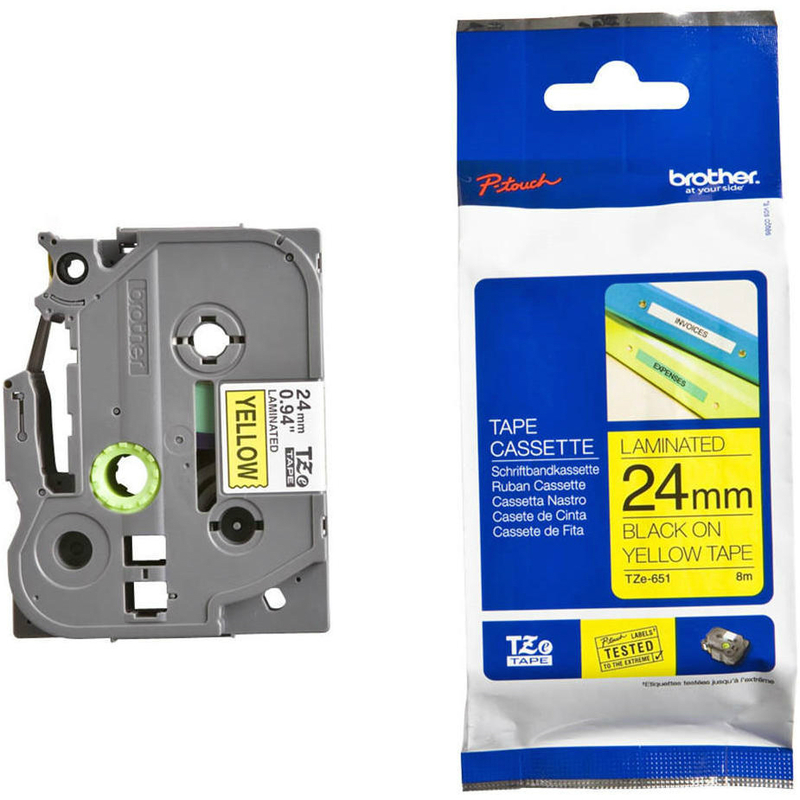 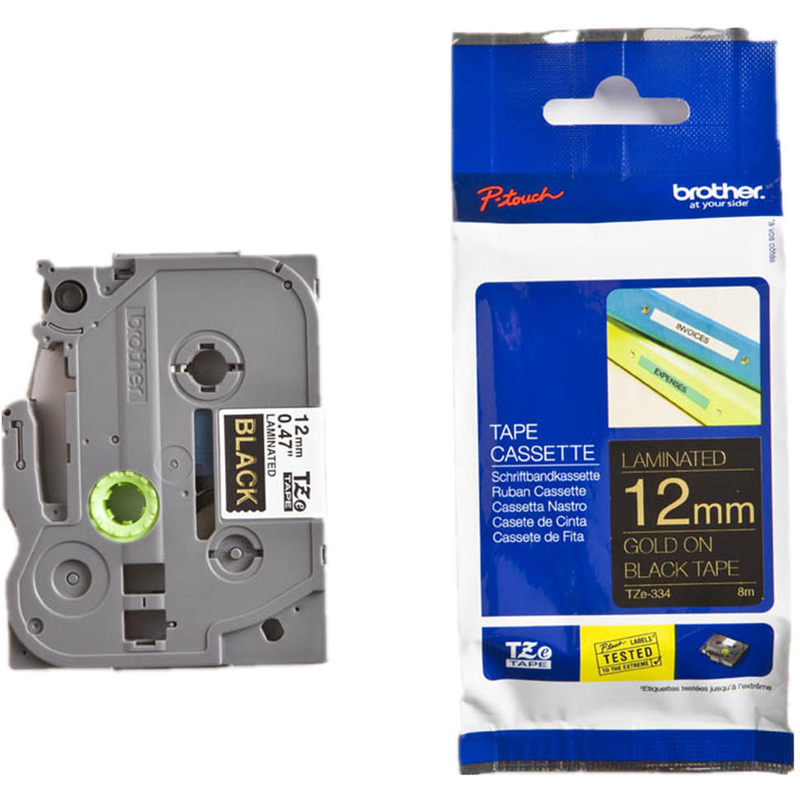 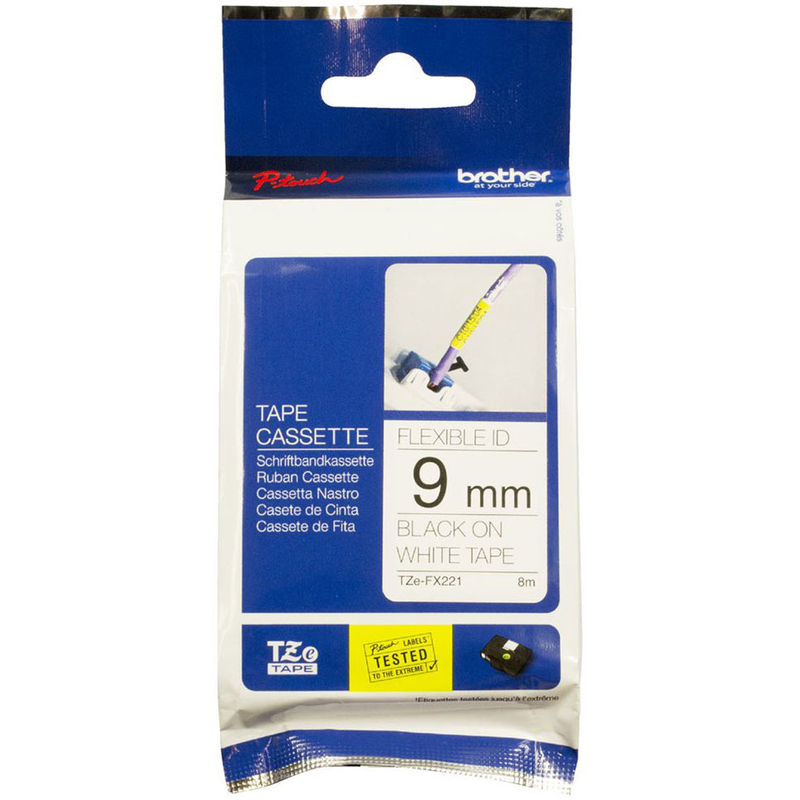 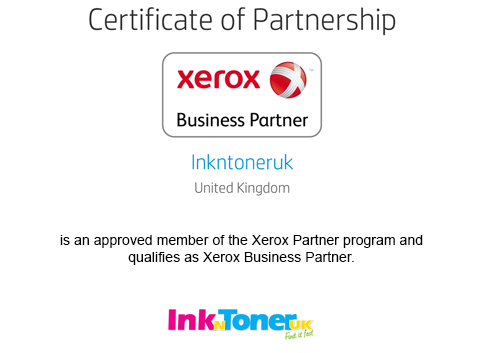 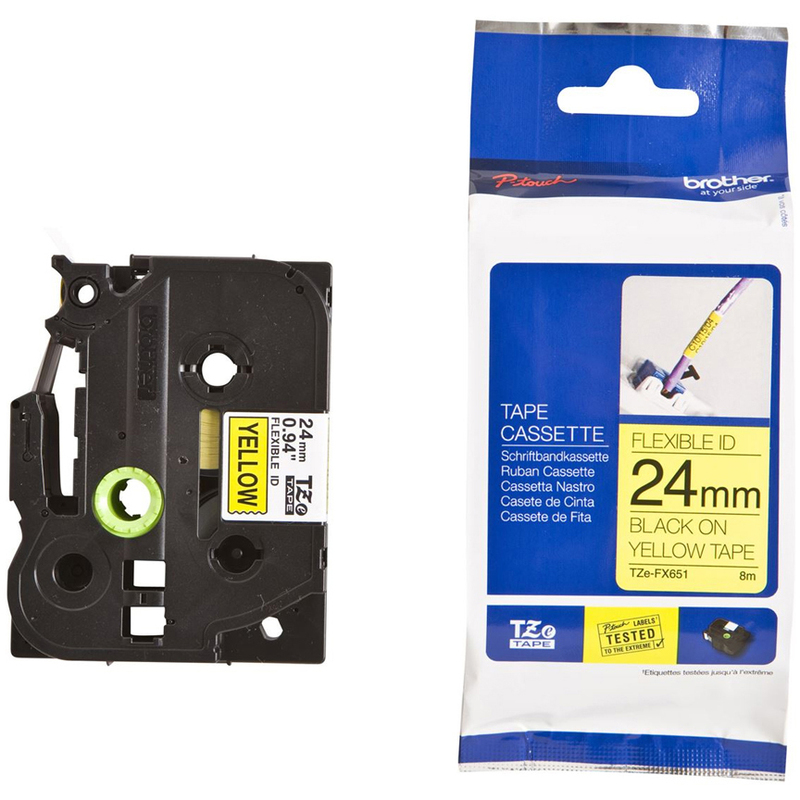 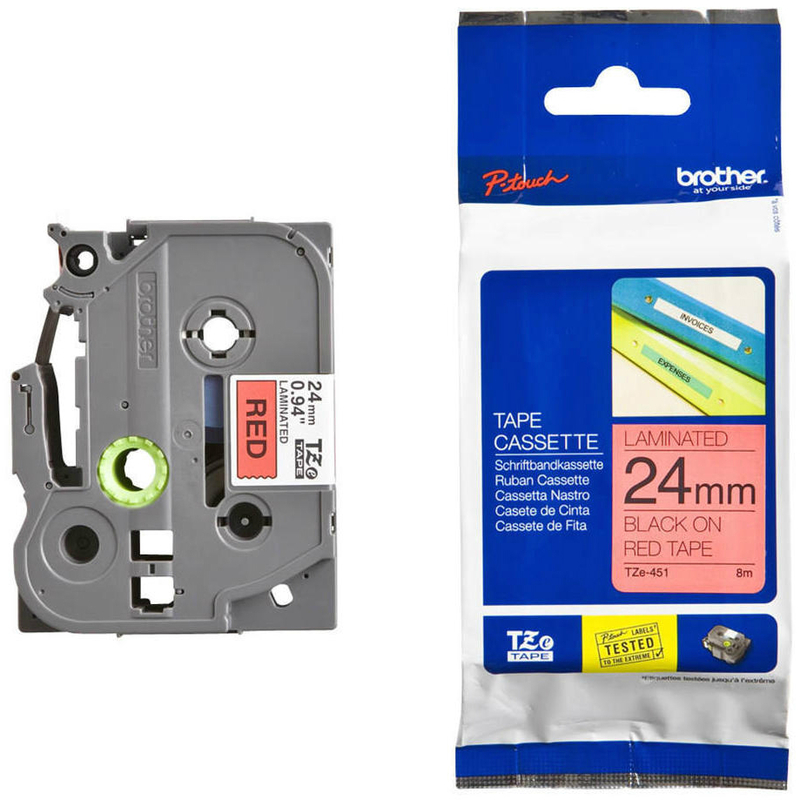 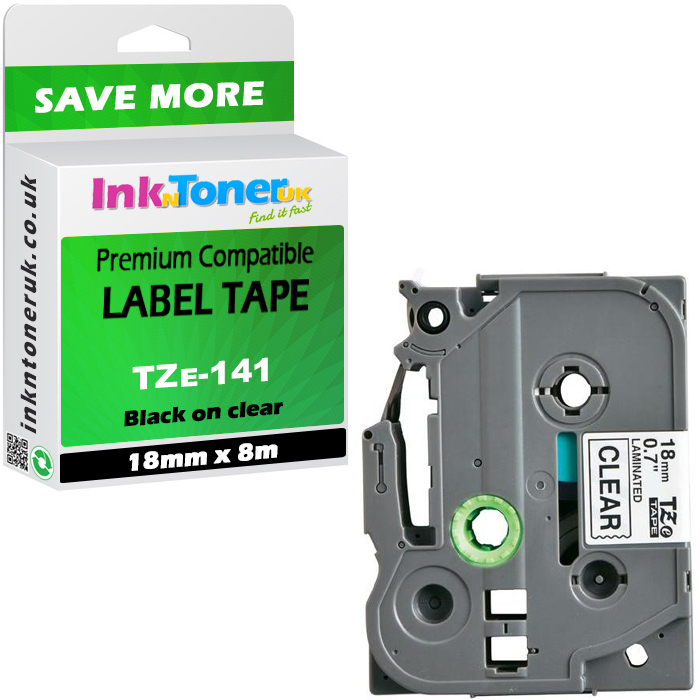 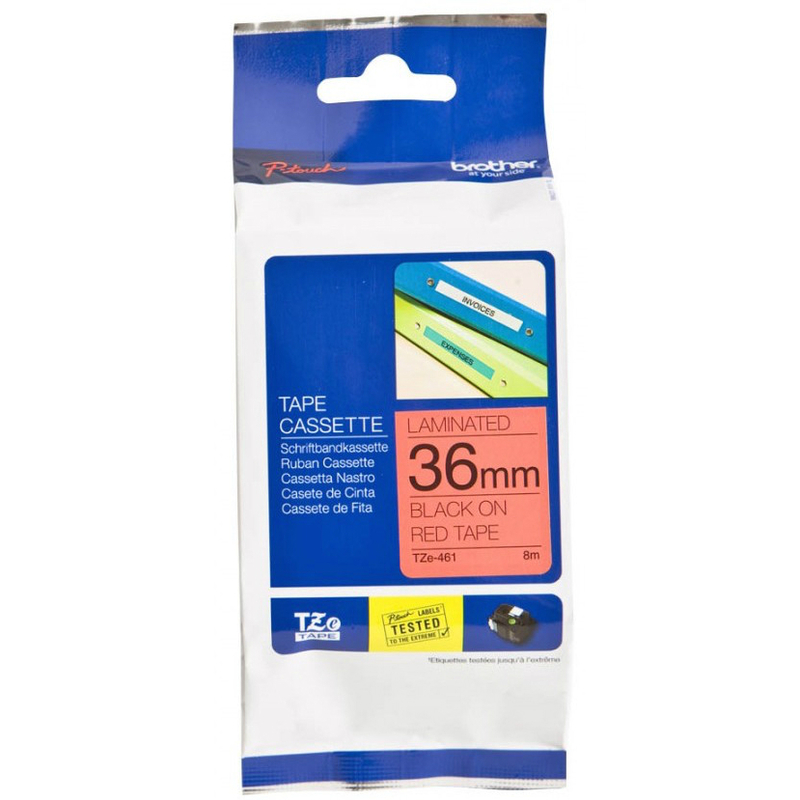 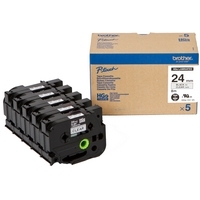 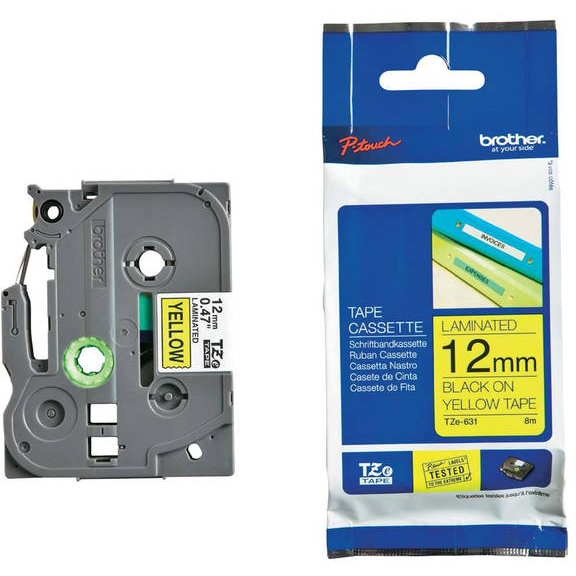 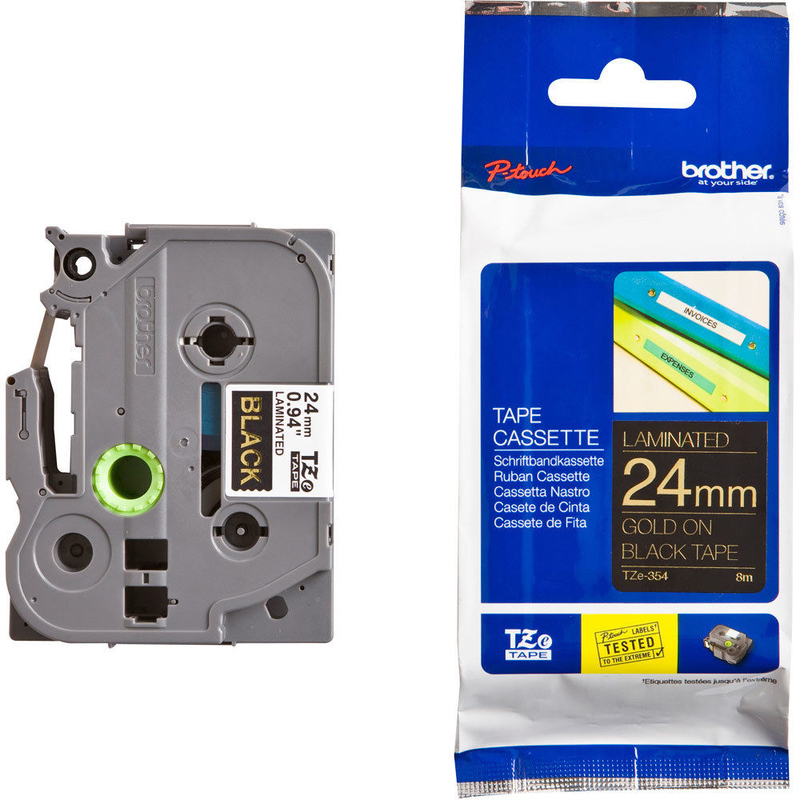 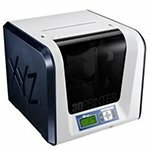 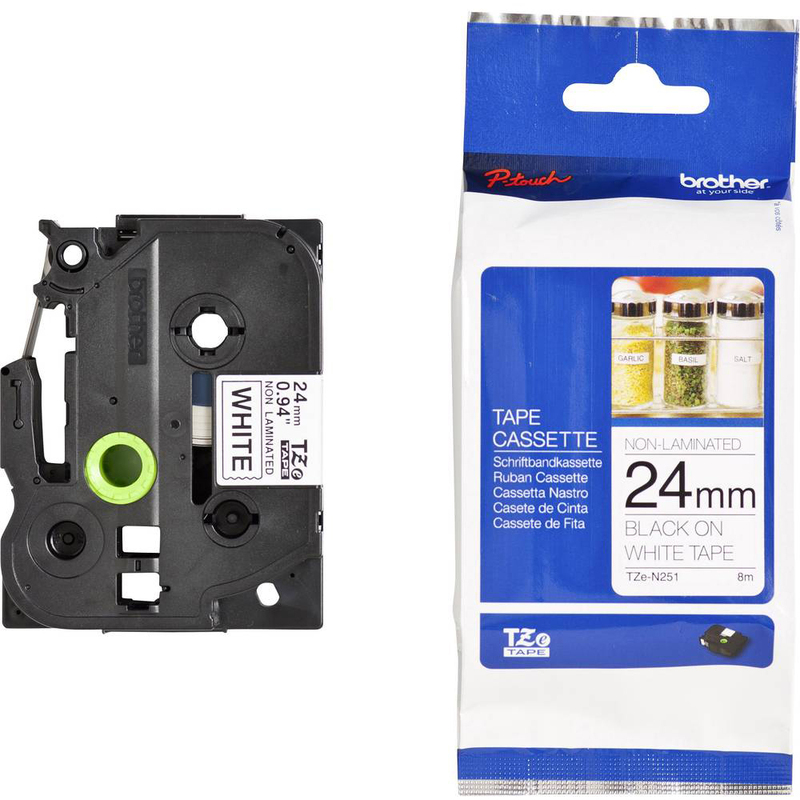 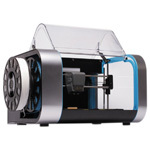 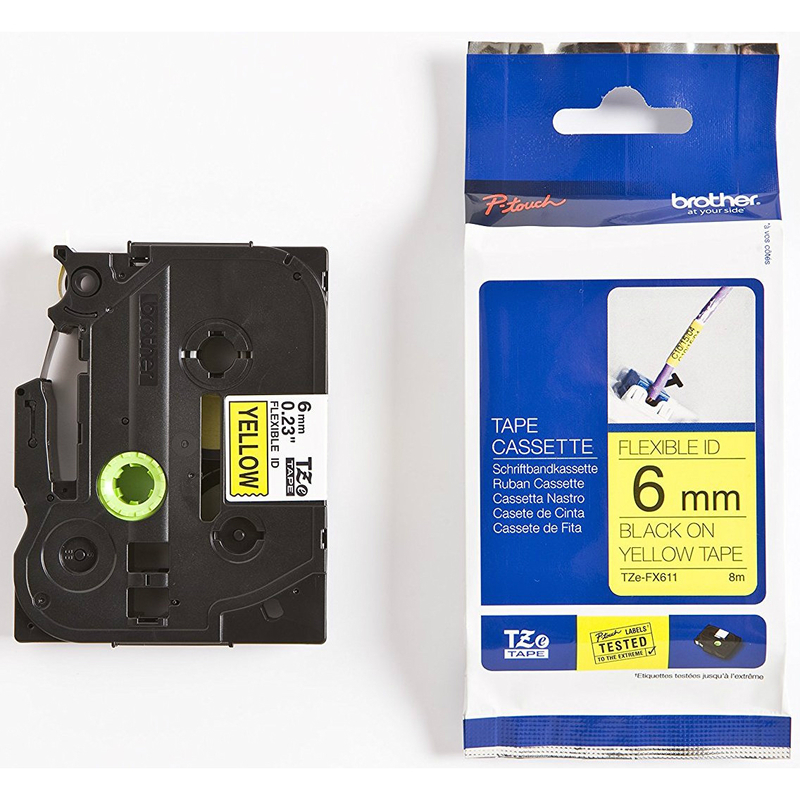 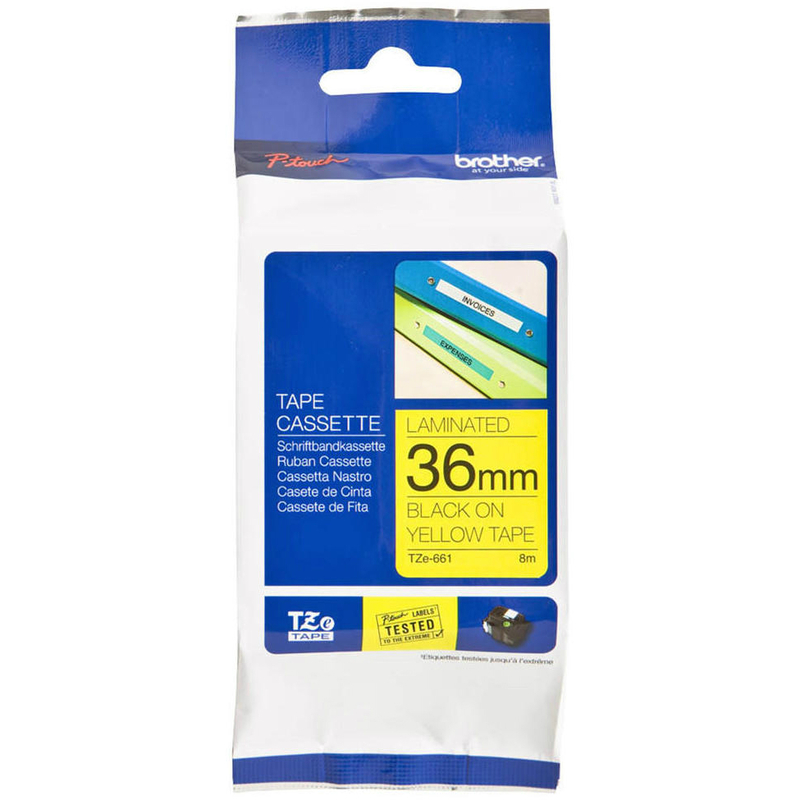 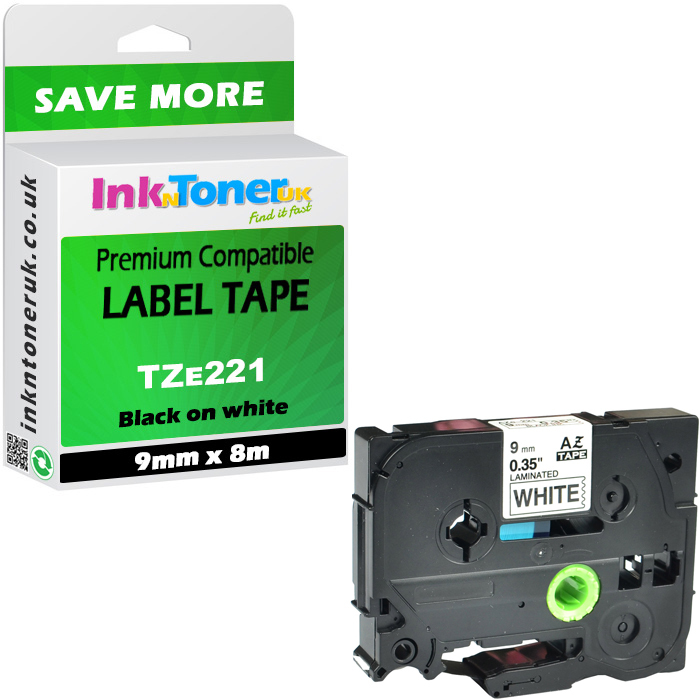 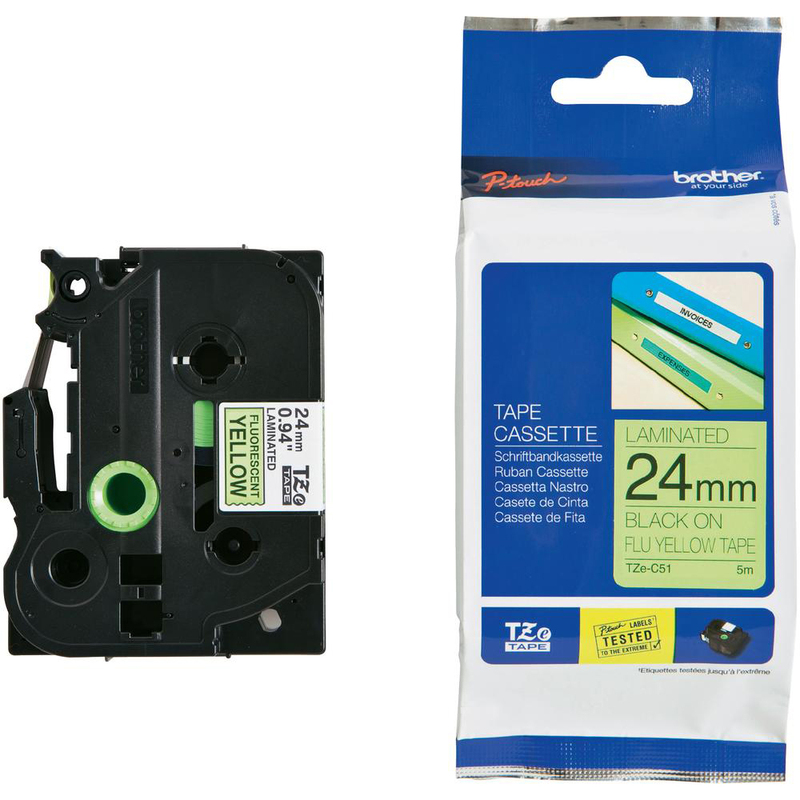 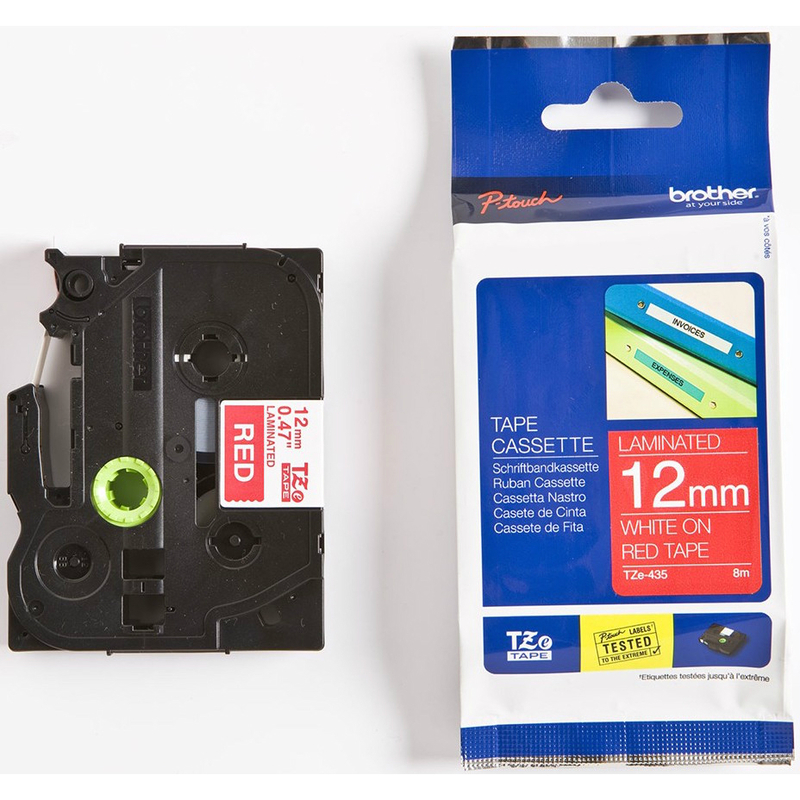 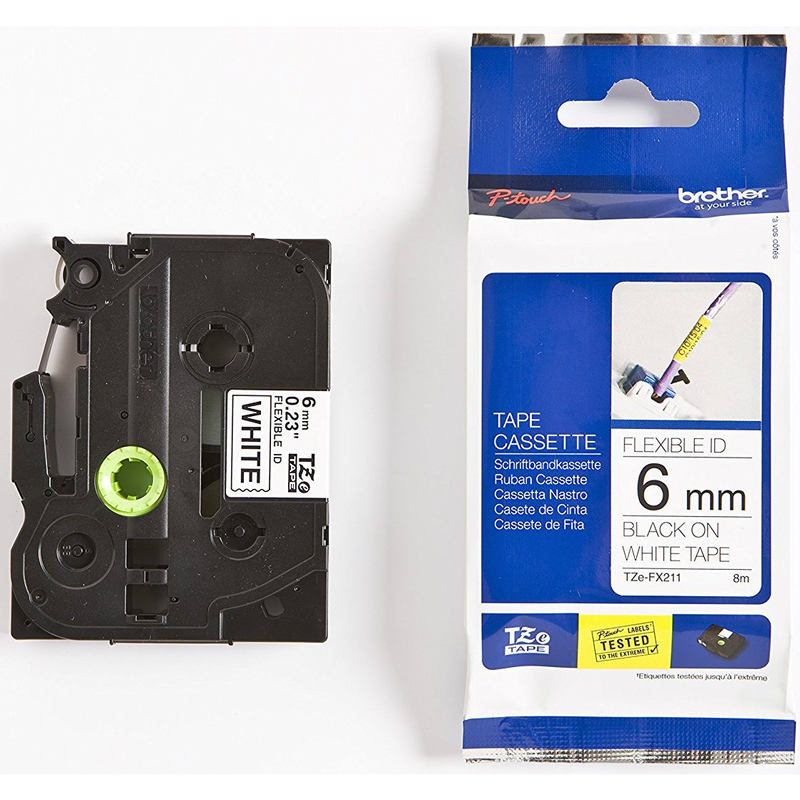 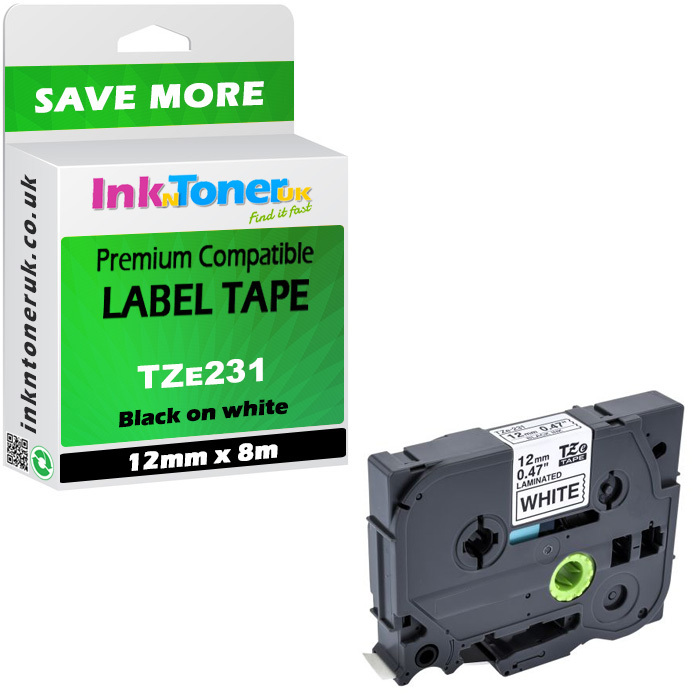 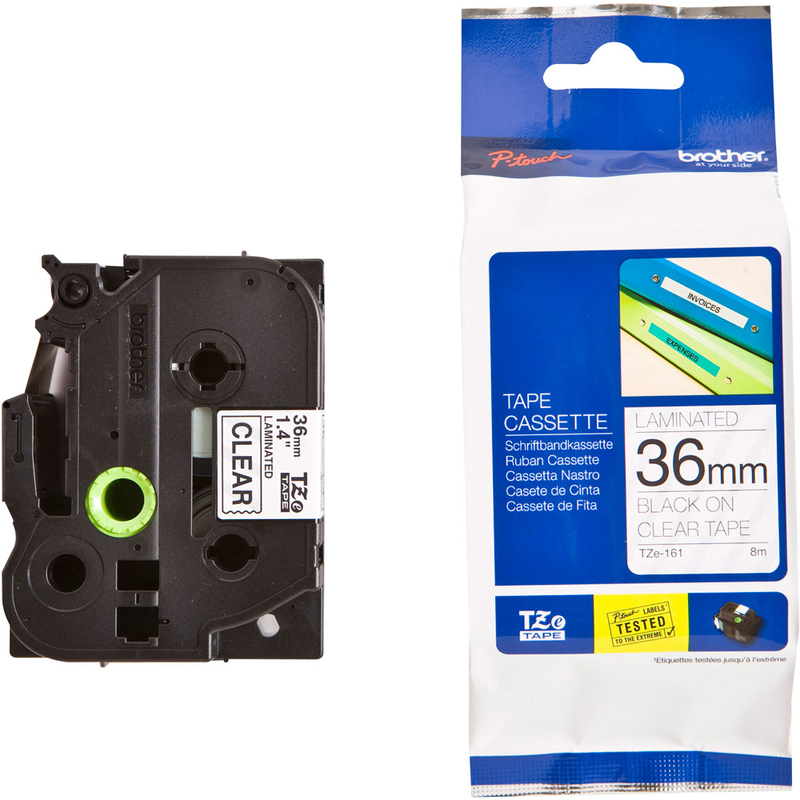 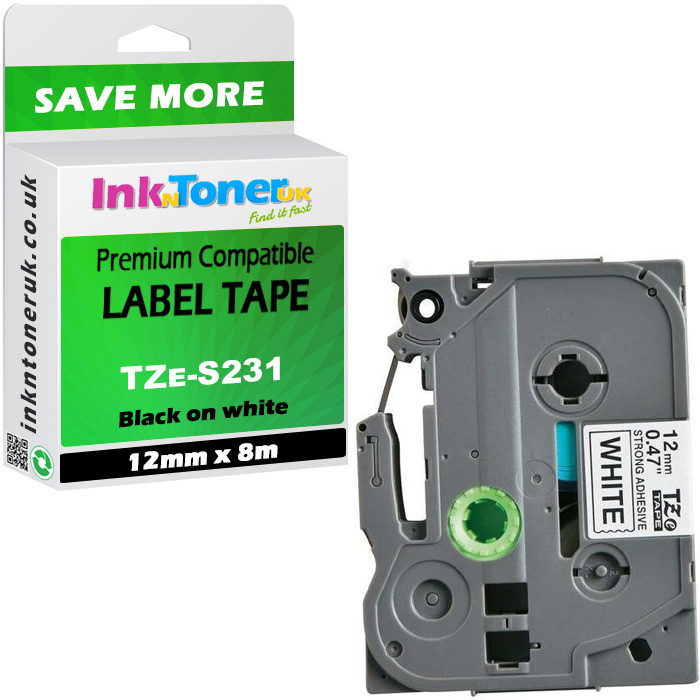 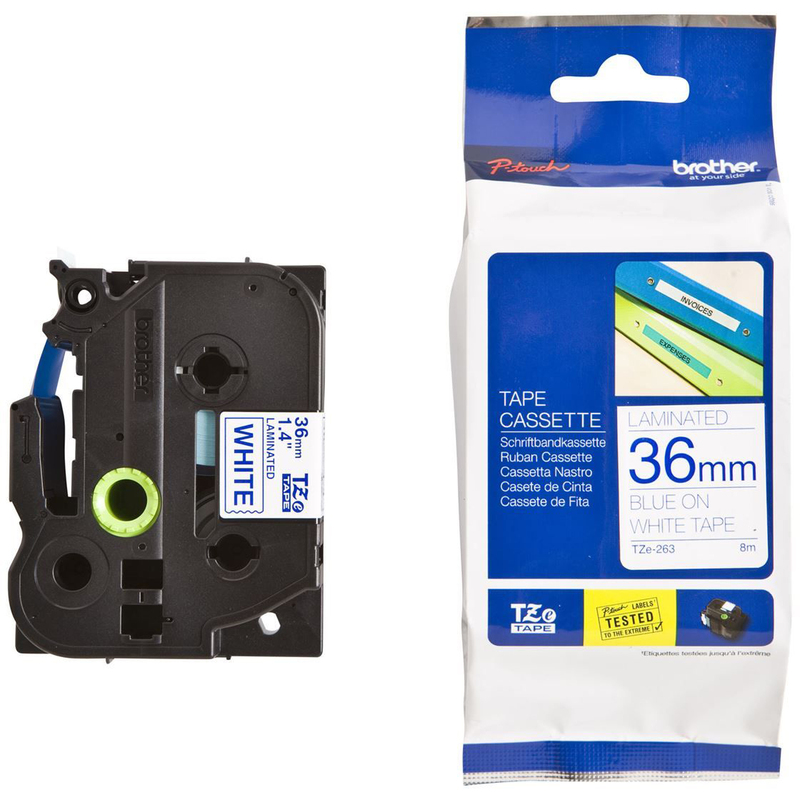 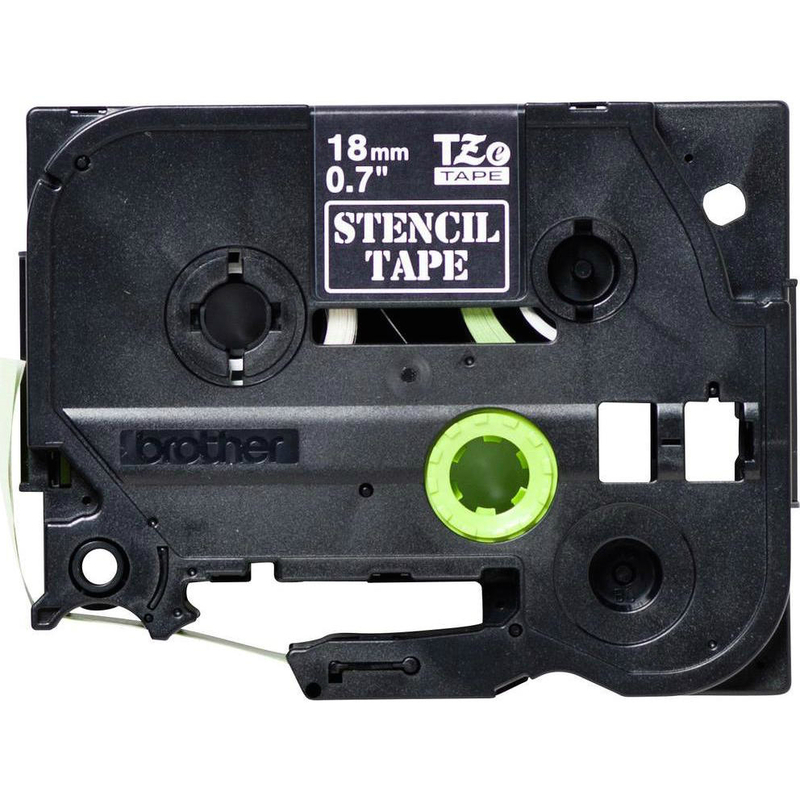 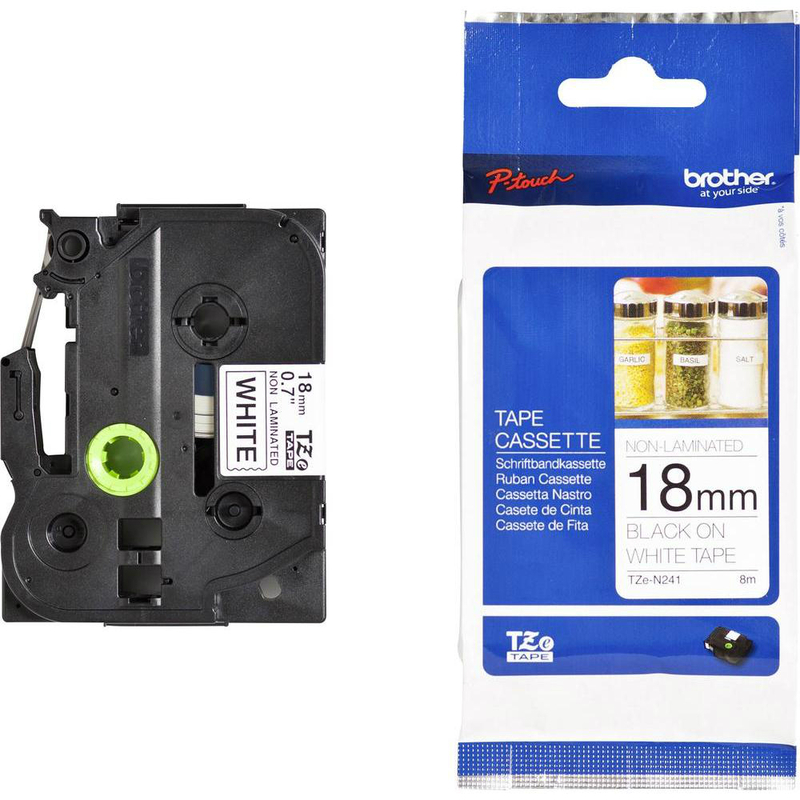 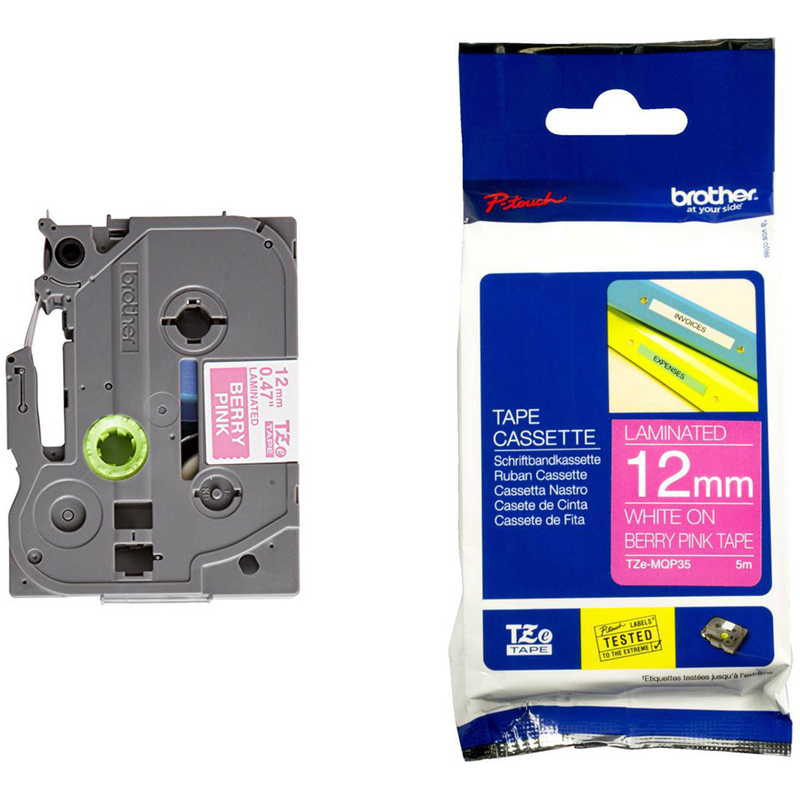 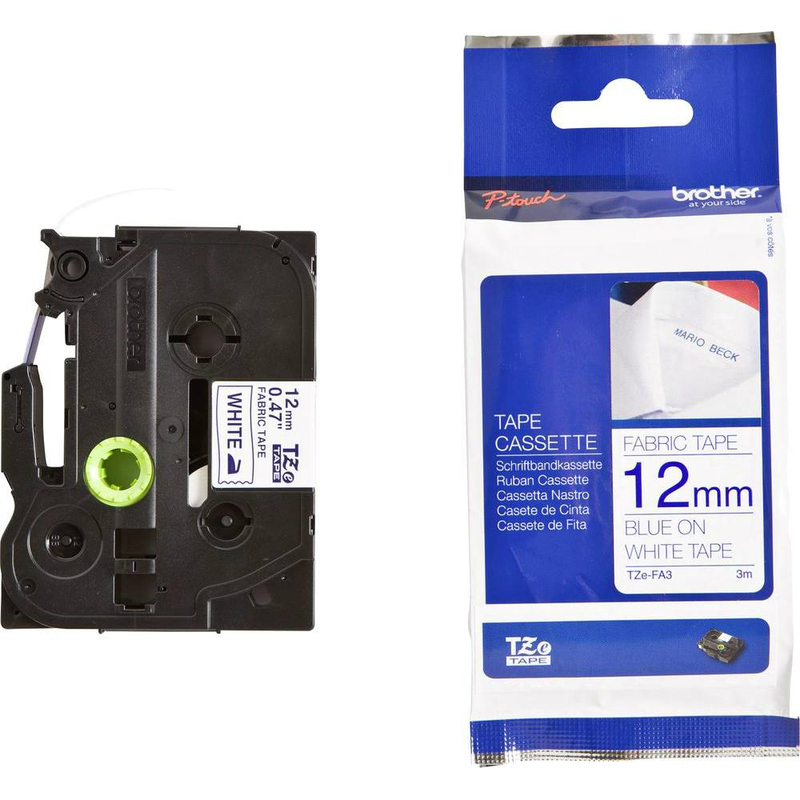 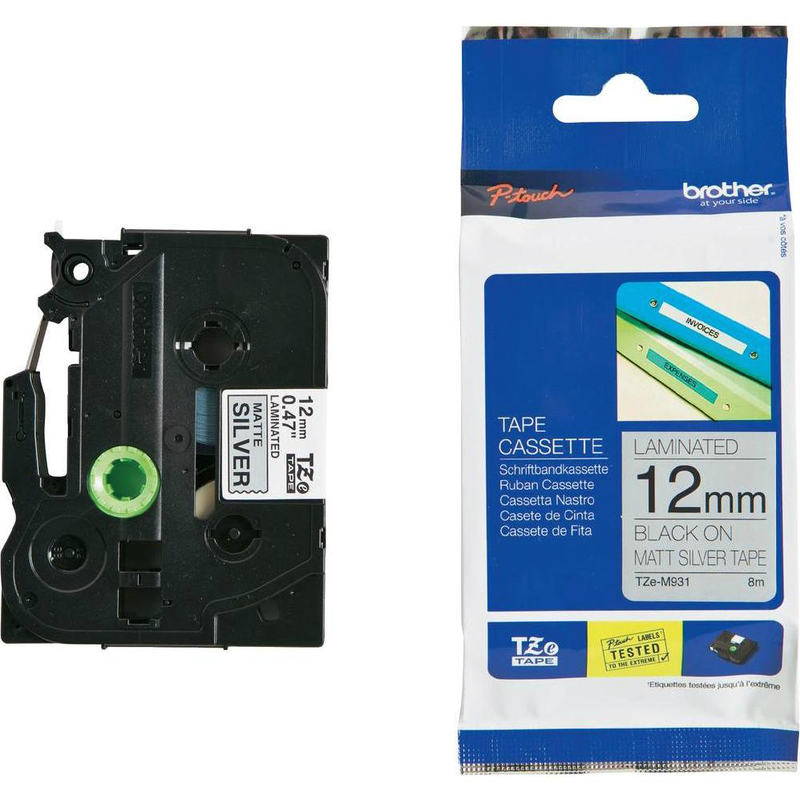 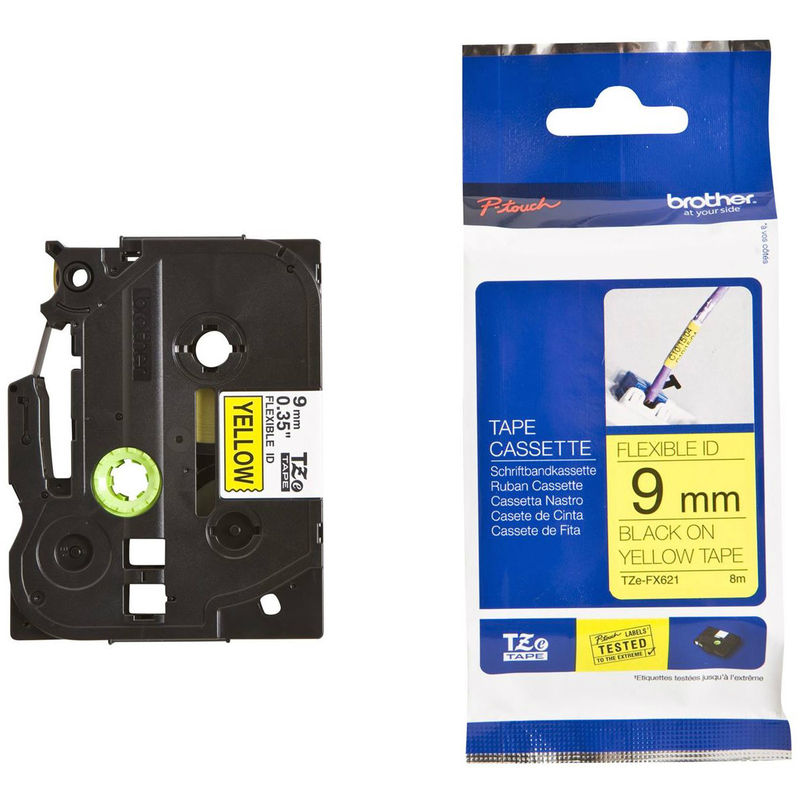 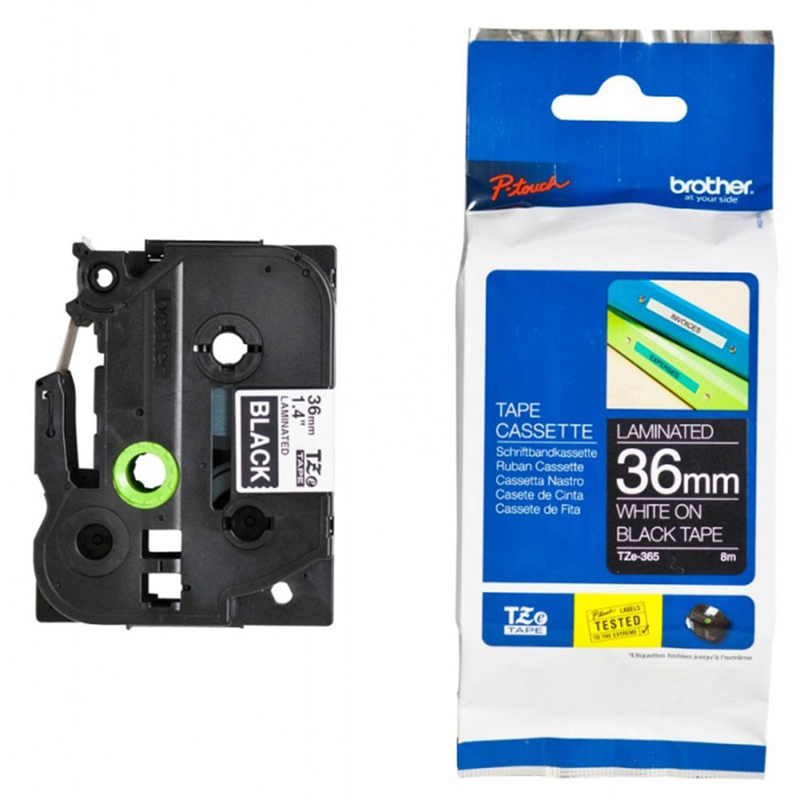 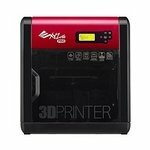 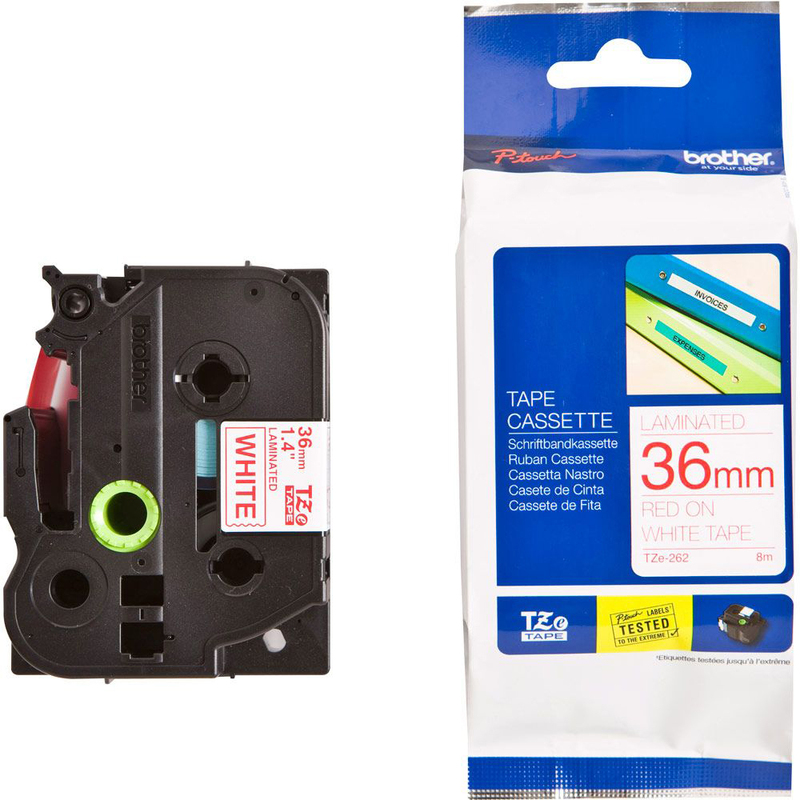 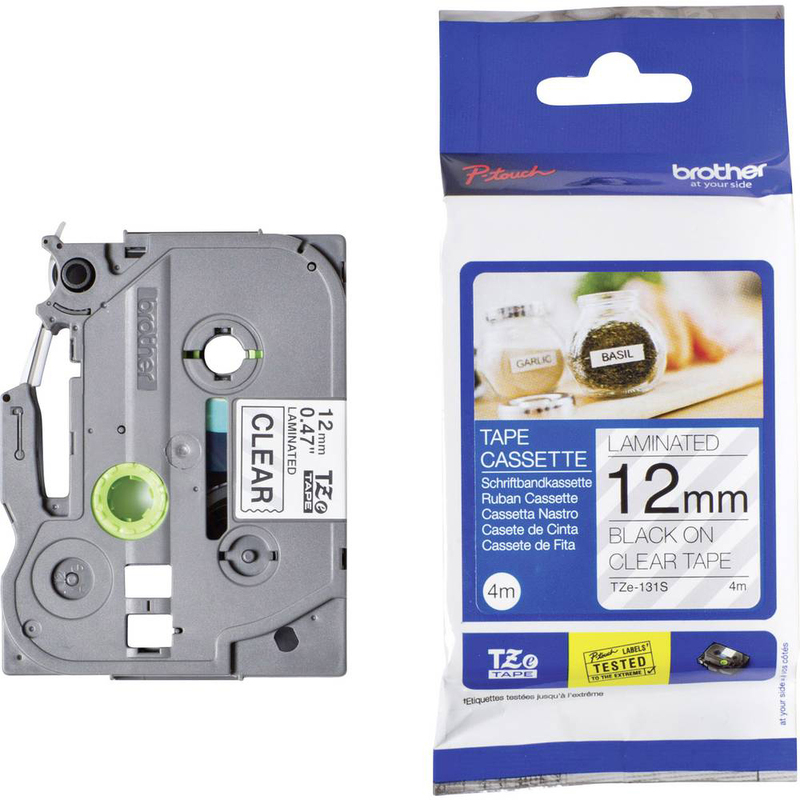 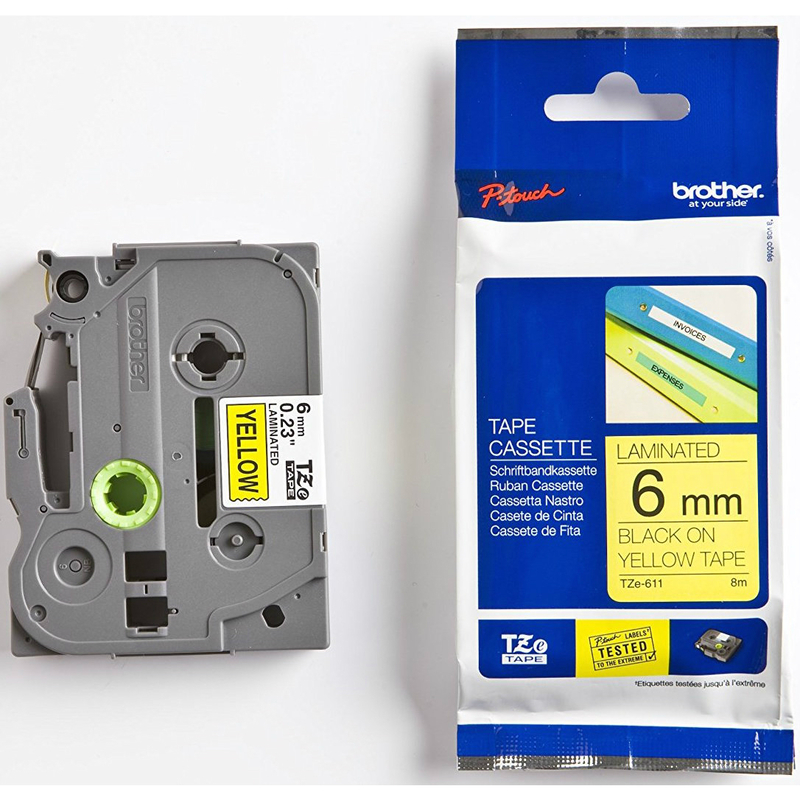 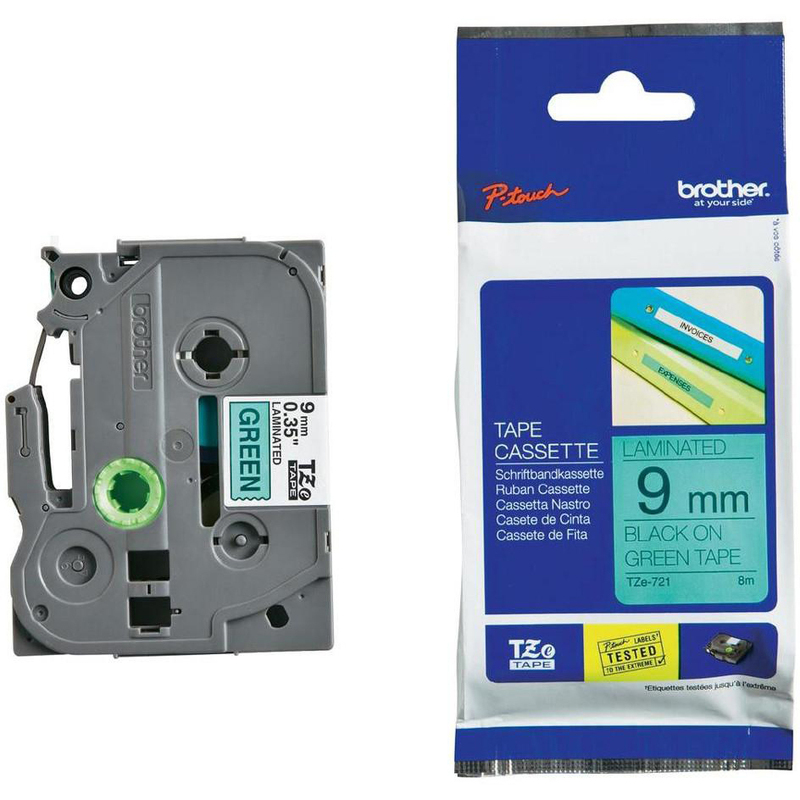 This TZEMQG35 Contains: 1 x white on matte lime green labels P-Touch laminated labelling tape - 12mm x 5mColour: white on lime green matt tapeType: P-Touch laminated label tapeSize: 12mm x 5m tapeManufacturers Code: TZEMQG35 tapeEnjoy low prices on the Brother TZe-MQG35 Label Tape (previously known as the Brother TZMQG35 label tape). 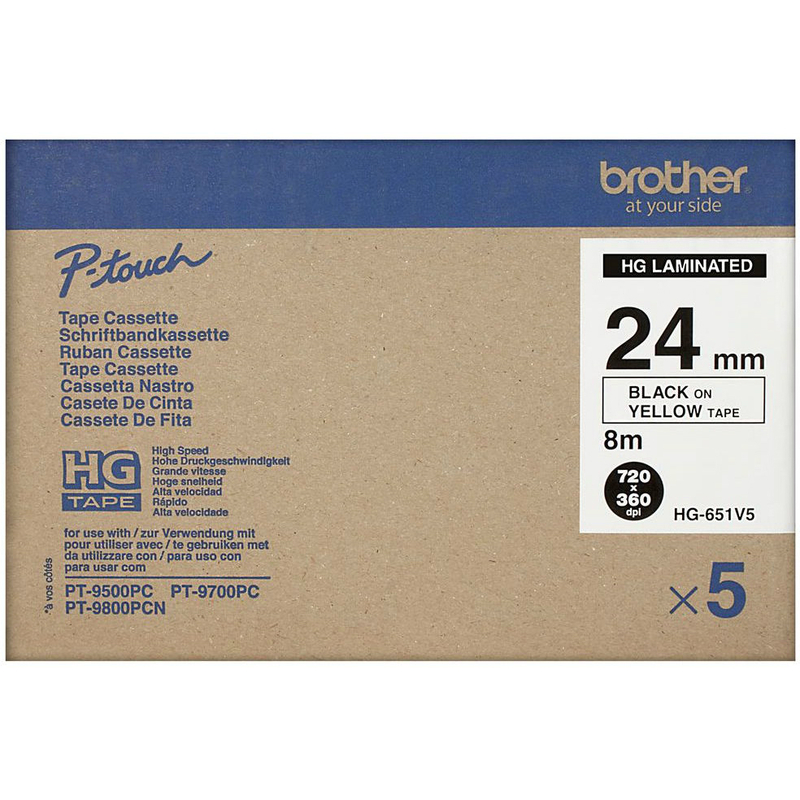 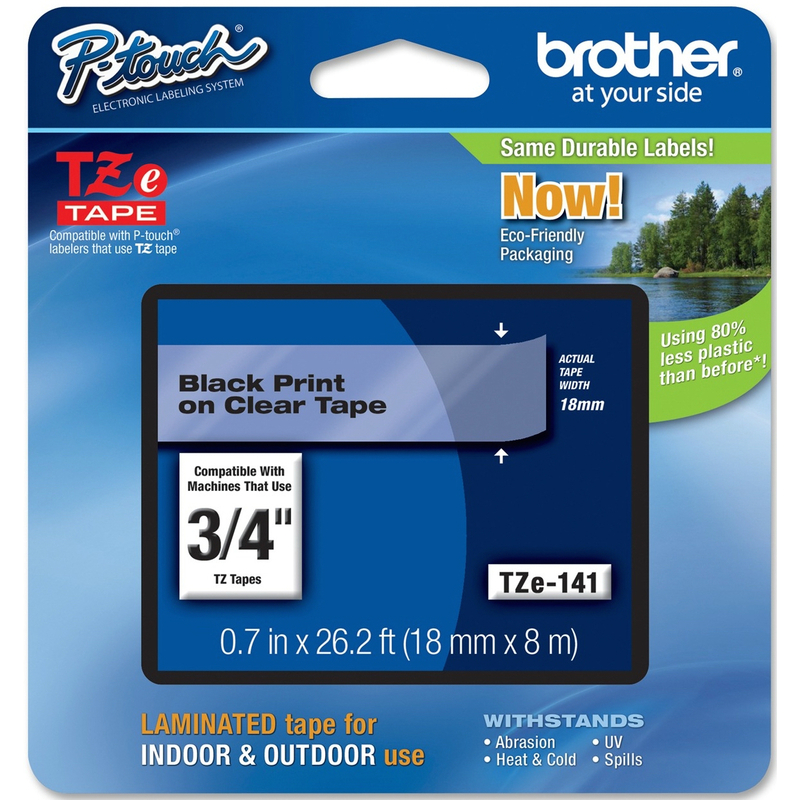 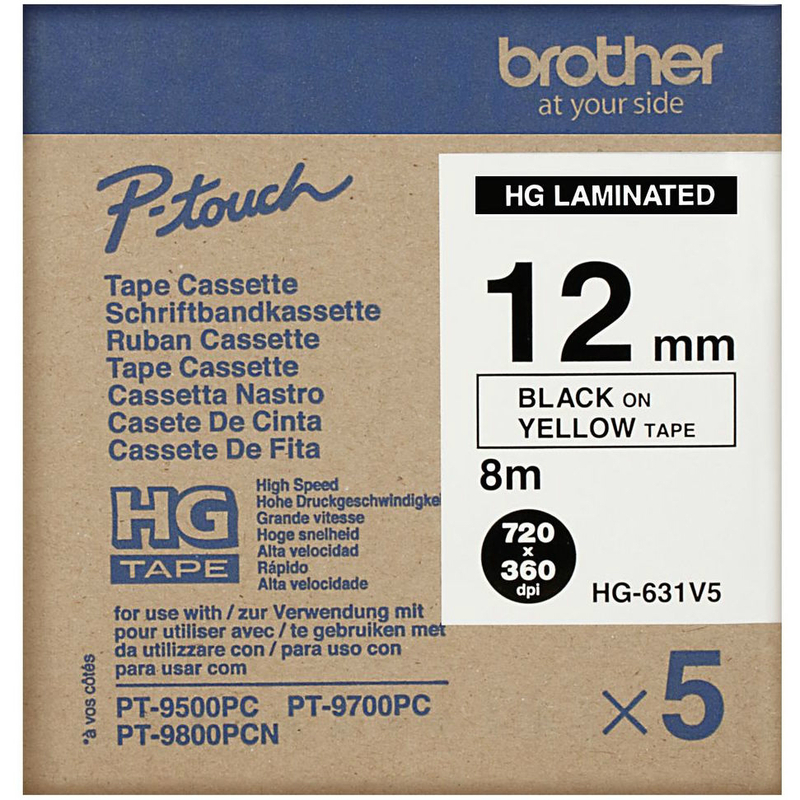 This stylish P-touch label tape features an exclusive laminated tape process and adhesive which makes it perfect for everyday applications. 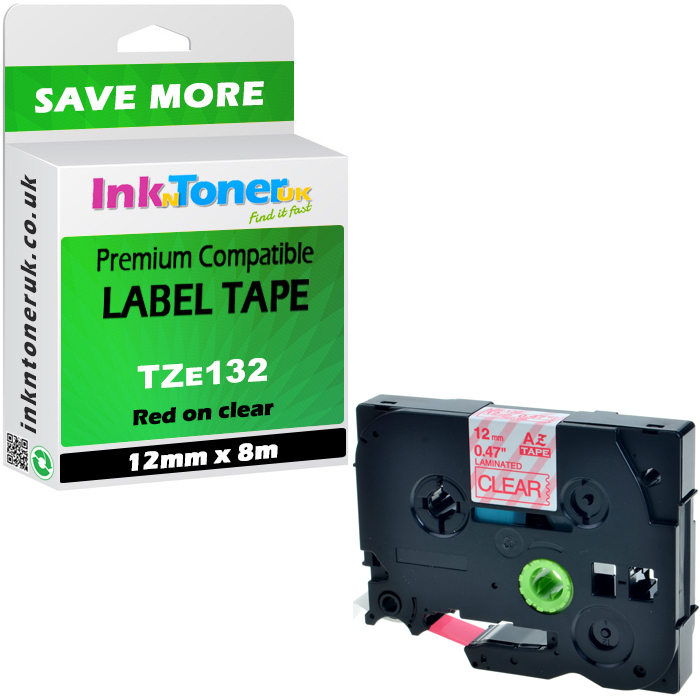 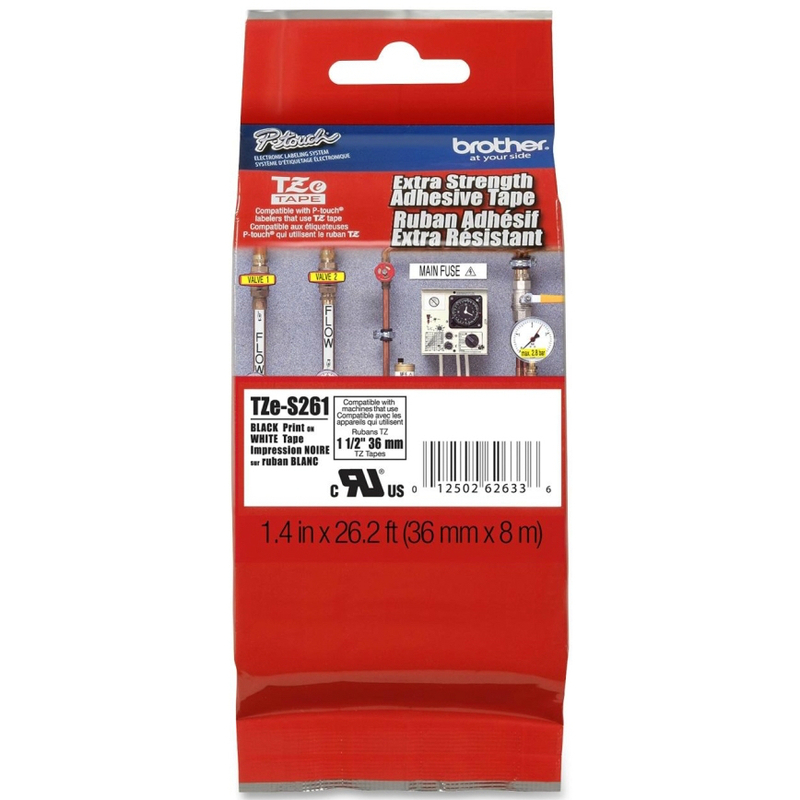 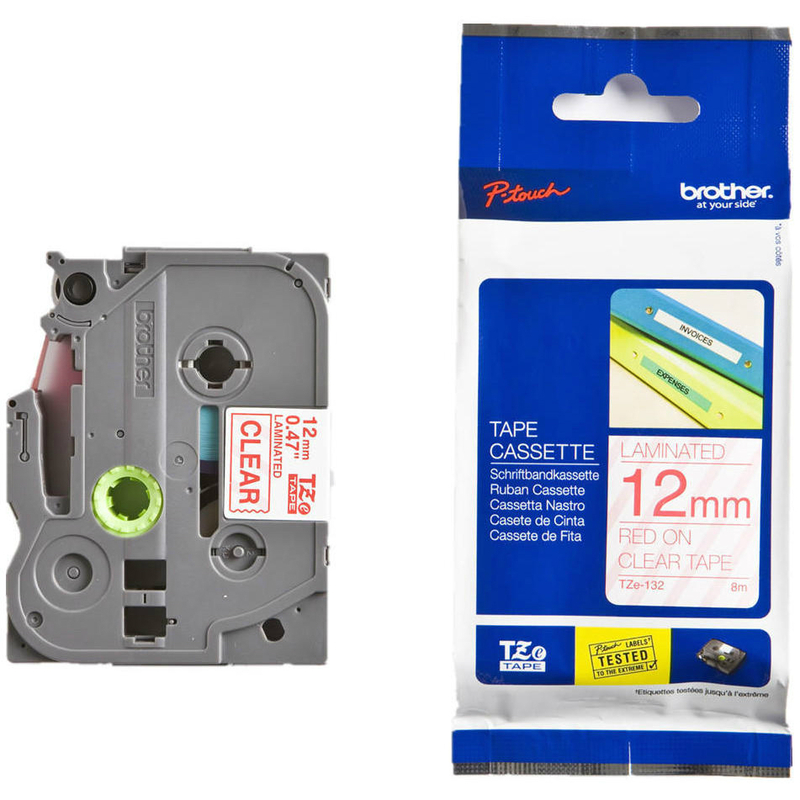 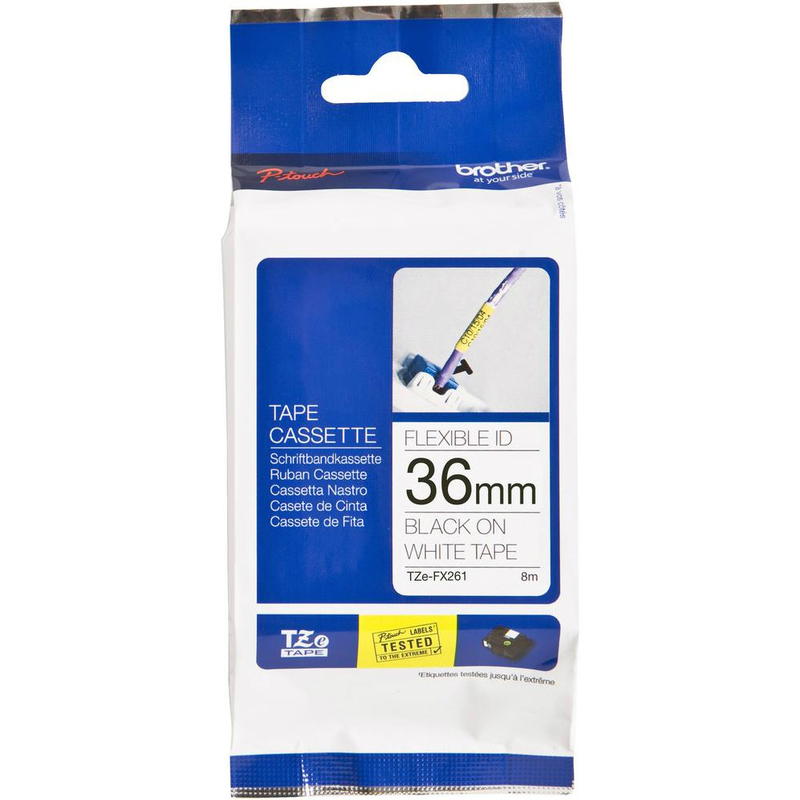 The Brother TZEMQG35 label tape is ideal for labelling on various different type of applications as they can hold up extraordinarily well and stay crisp, legible and firmly in place even when subjected to abrasion, extreme temperature, industrial chemicals and sunlight. 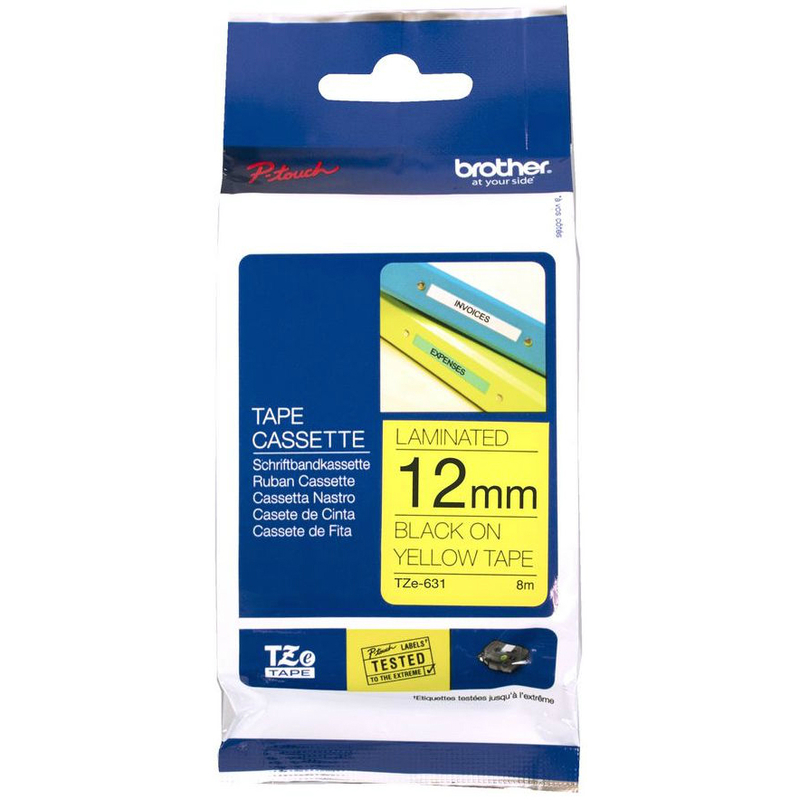 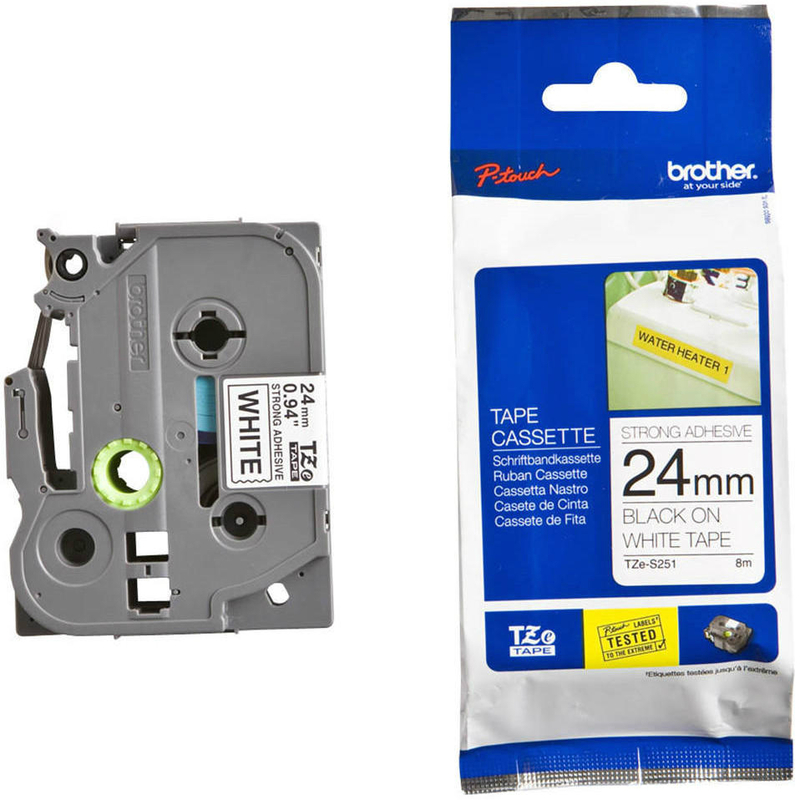 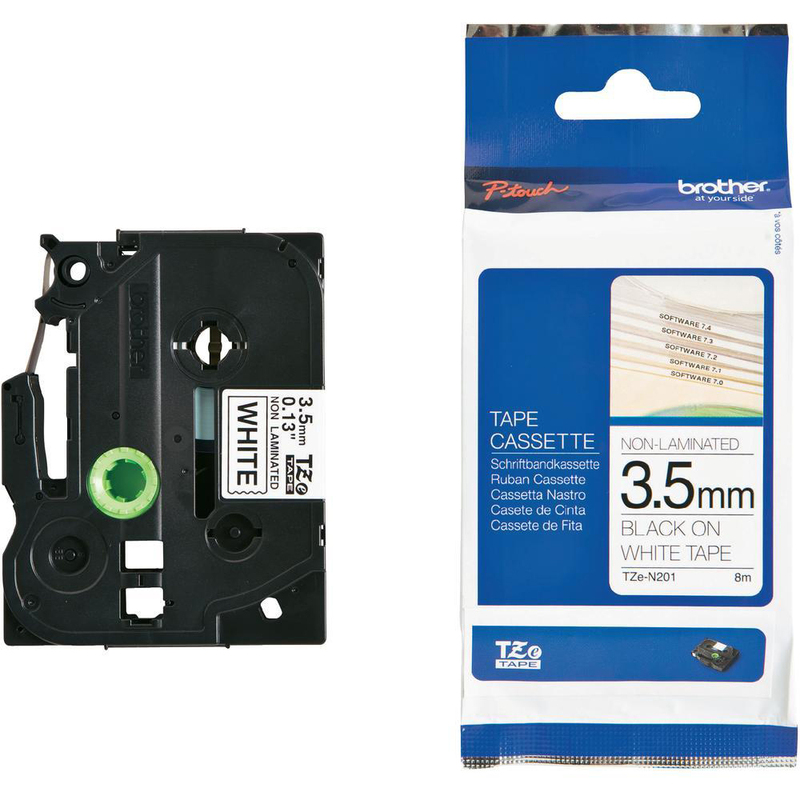 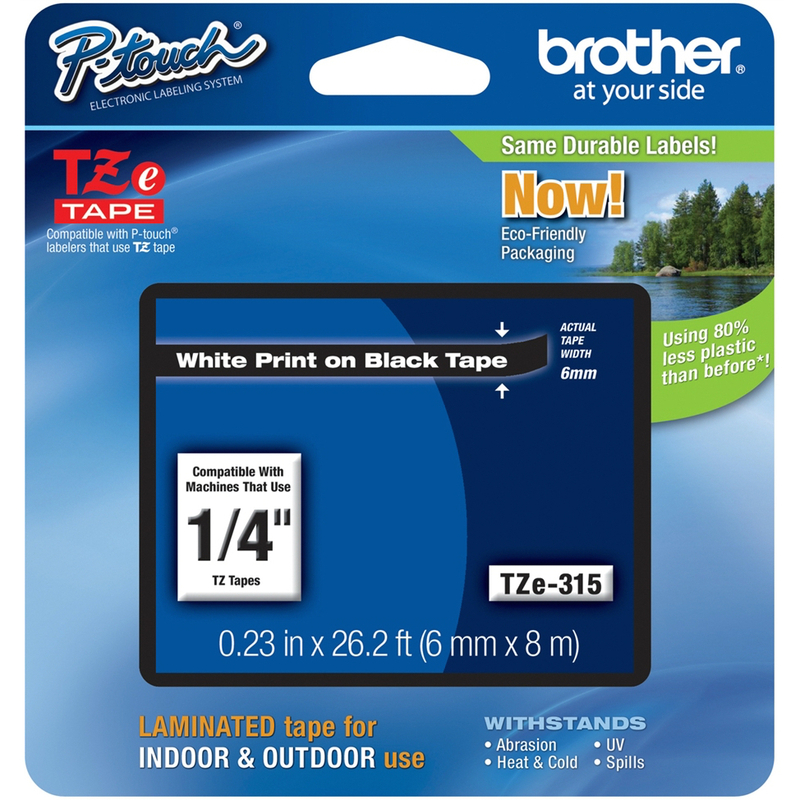 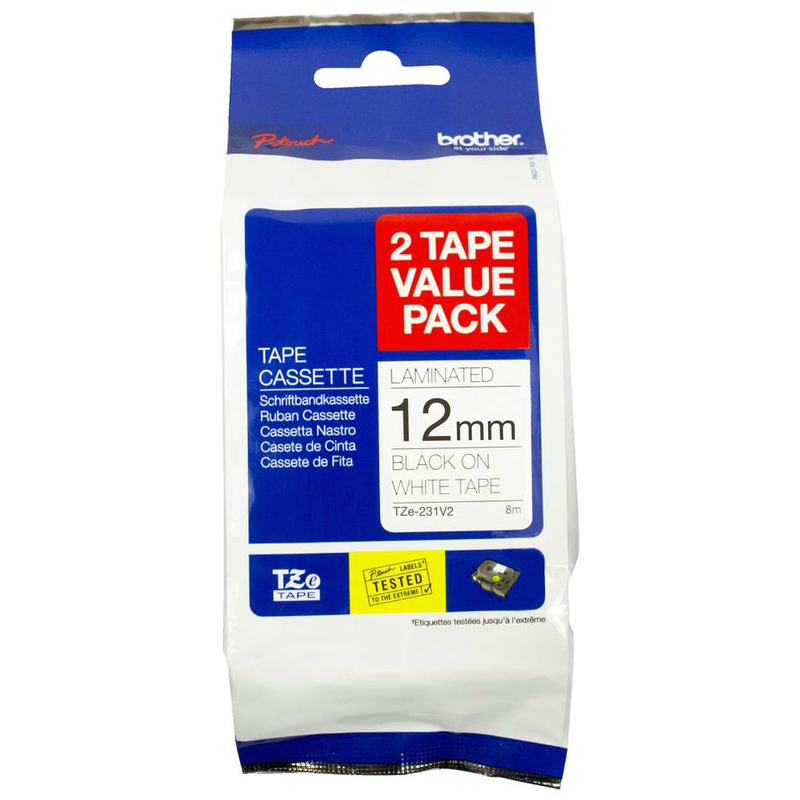 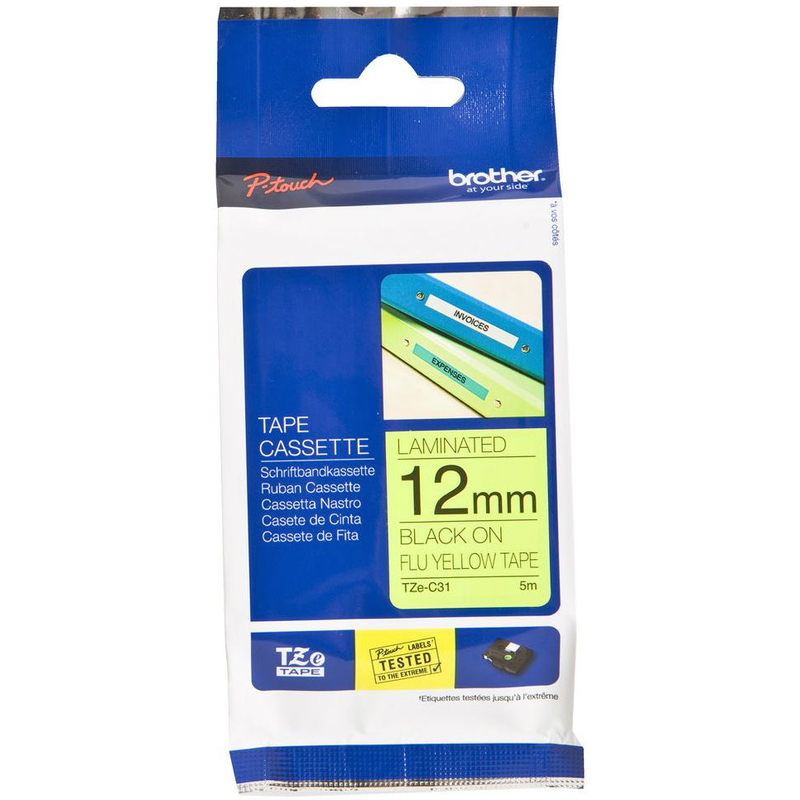 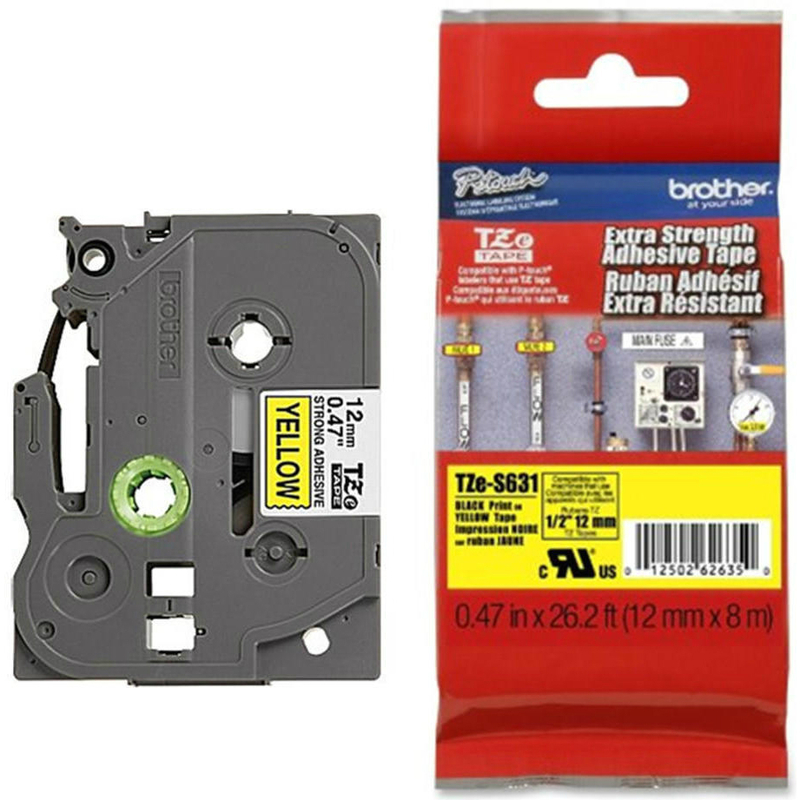 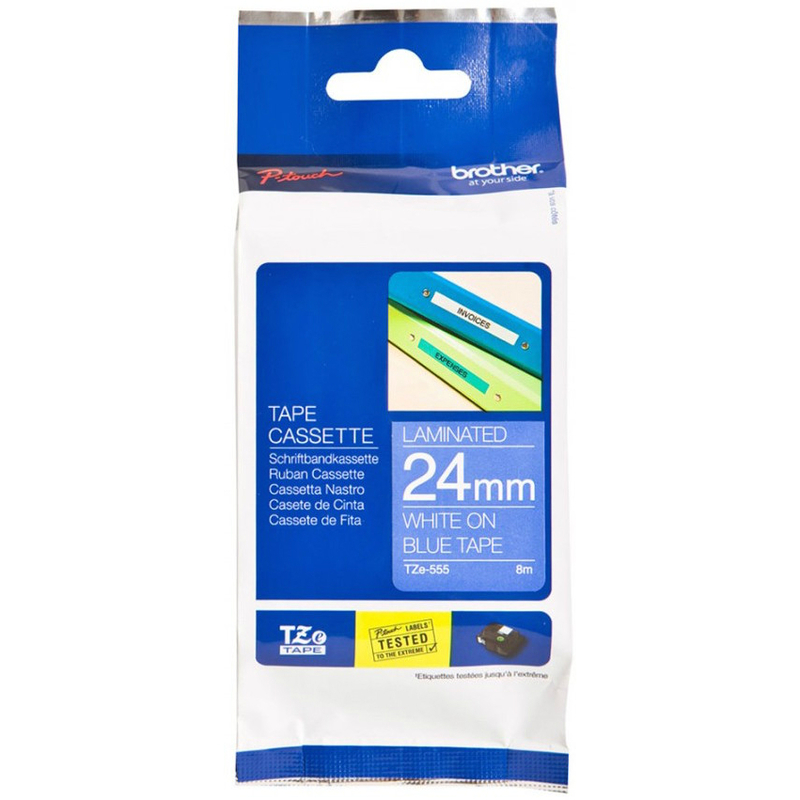 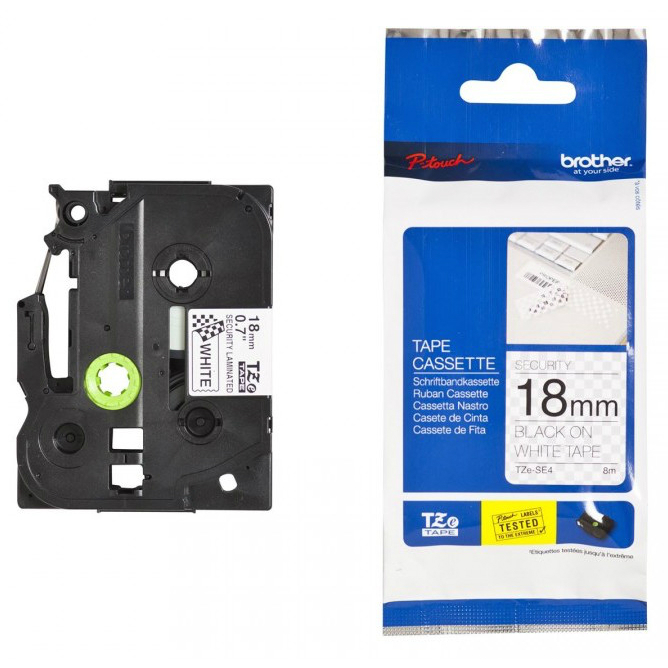 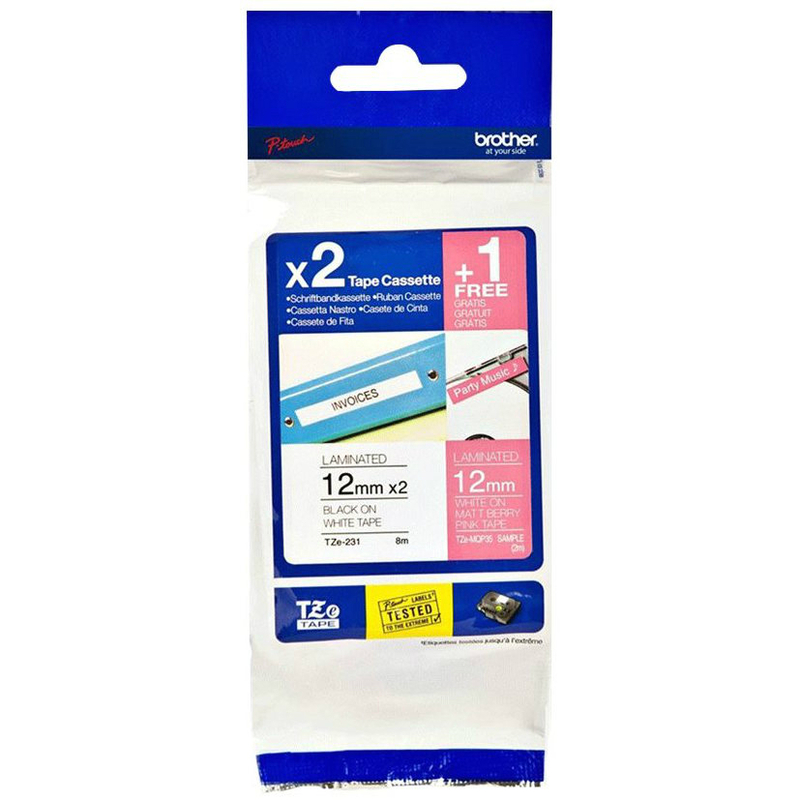 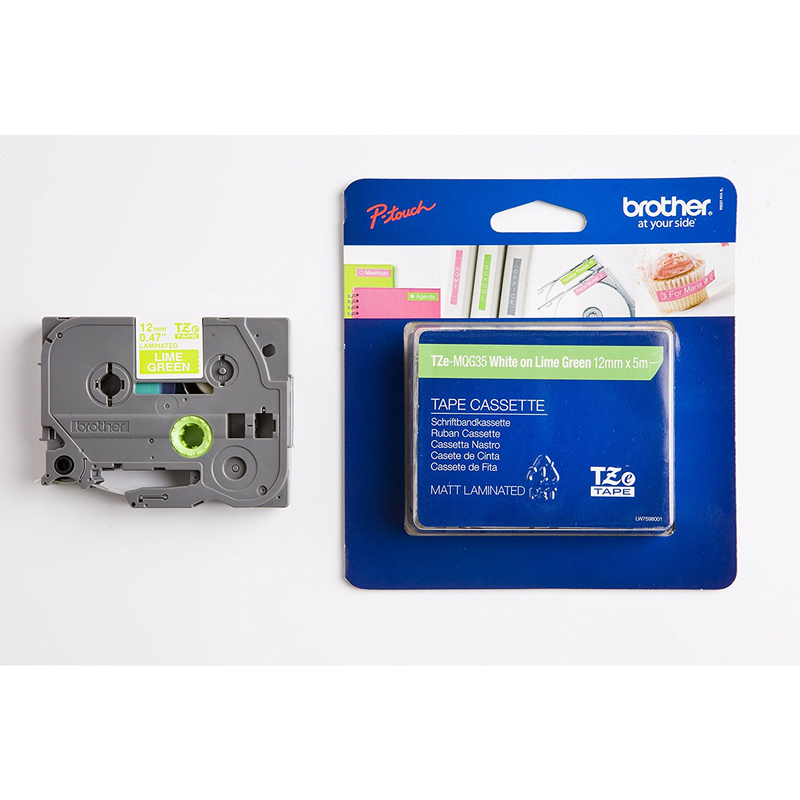 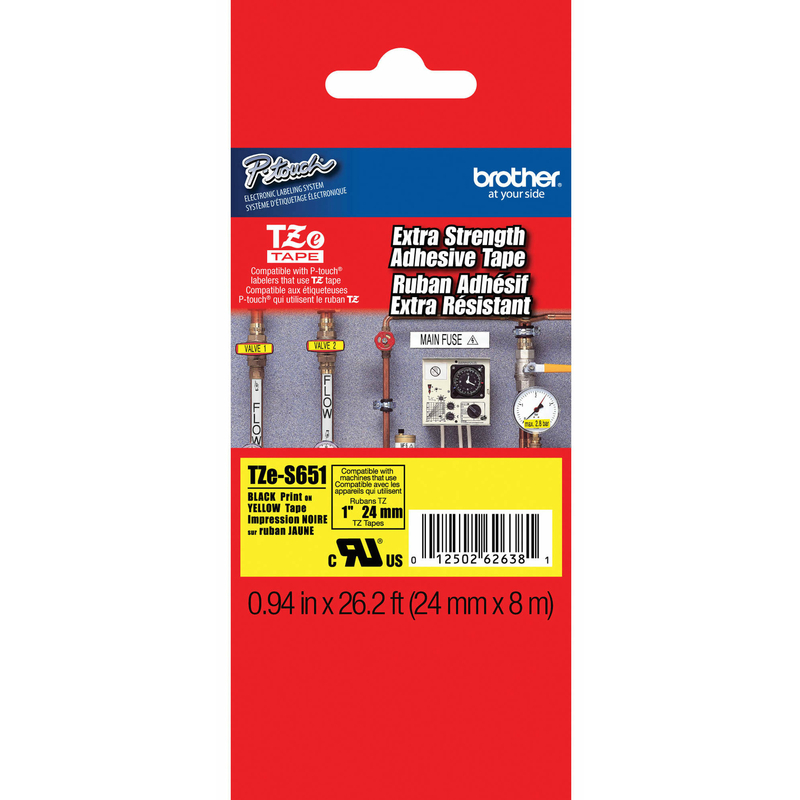 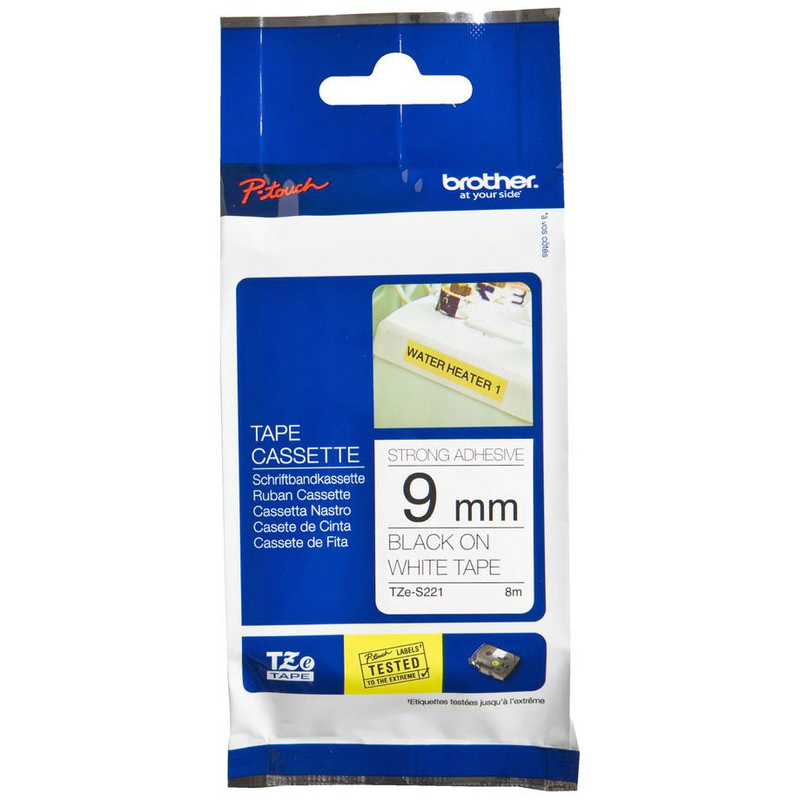 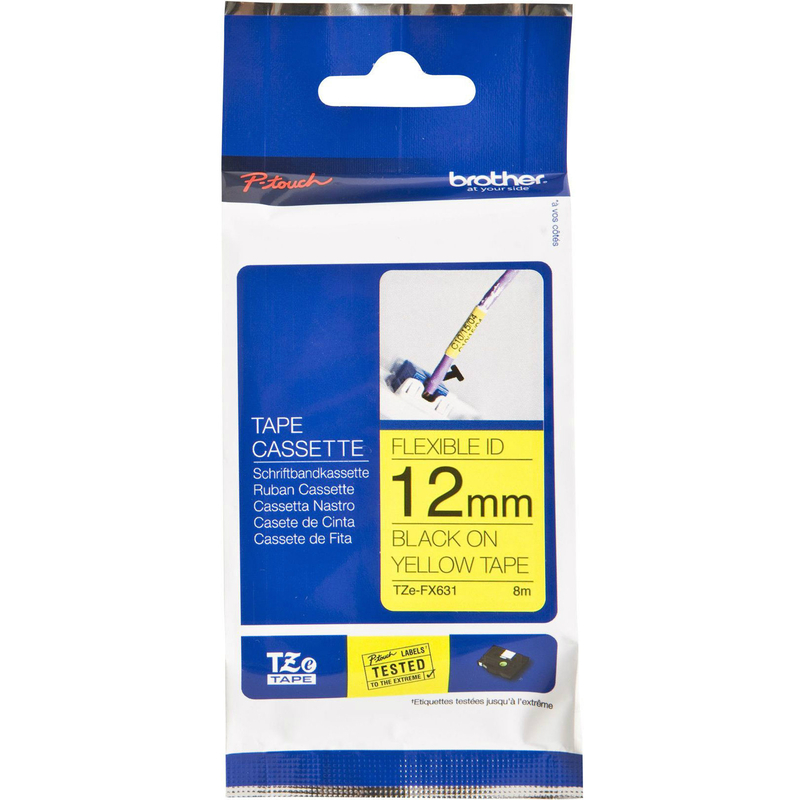 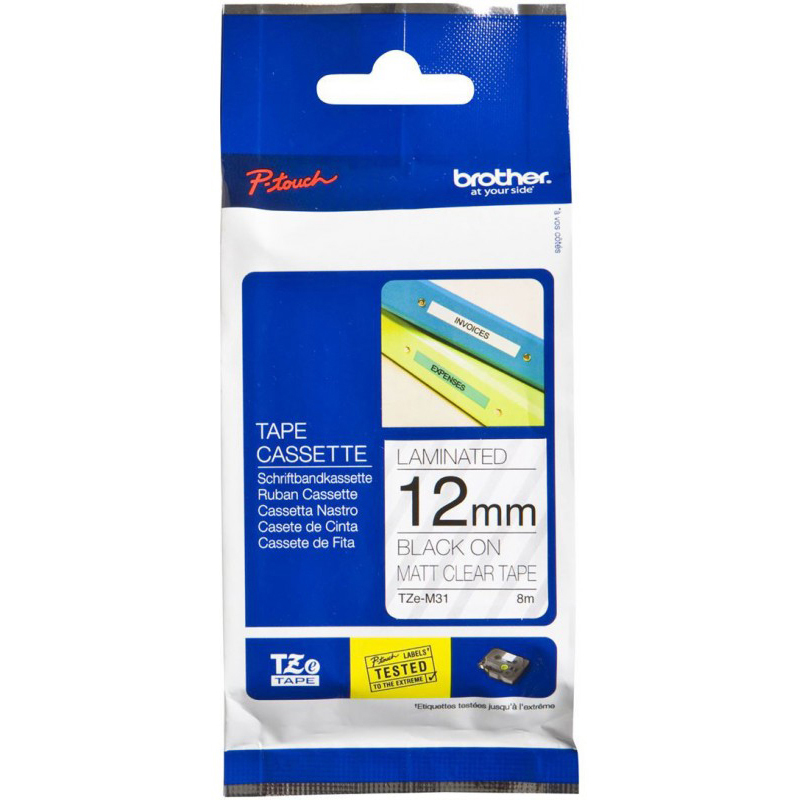 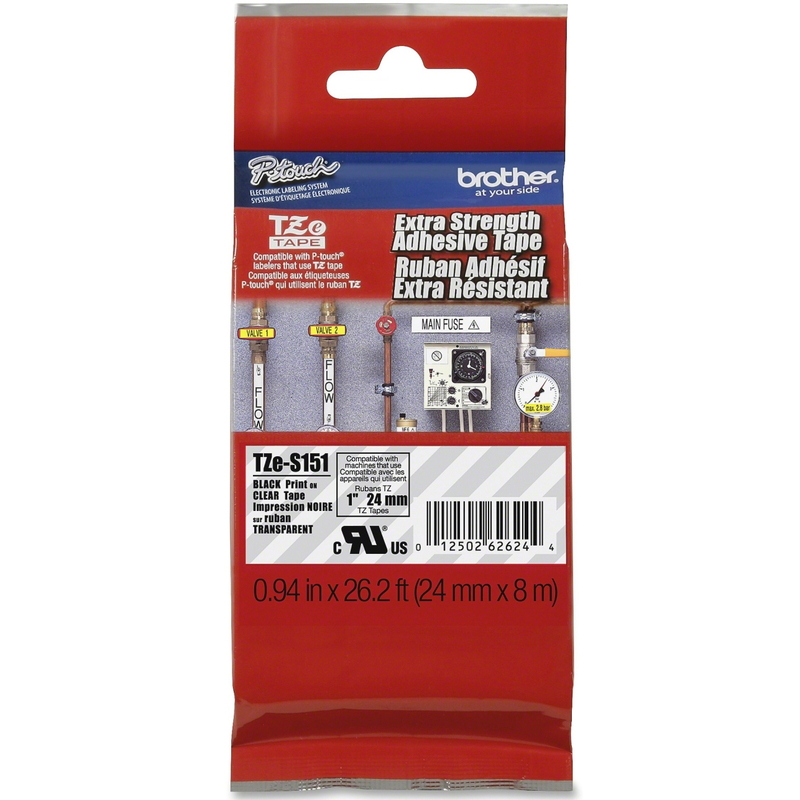 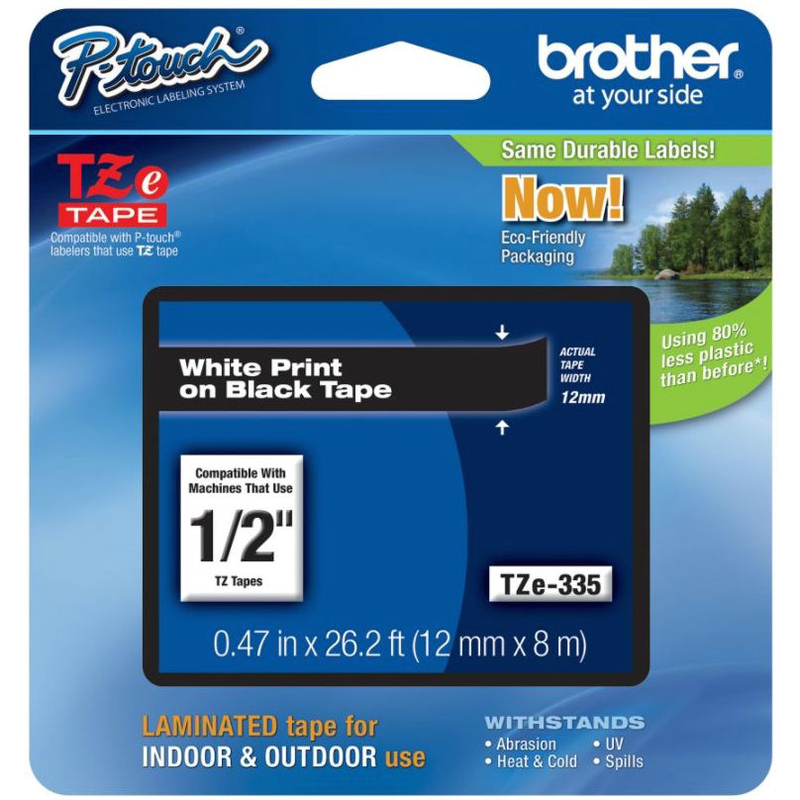 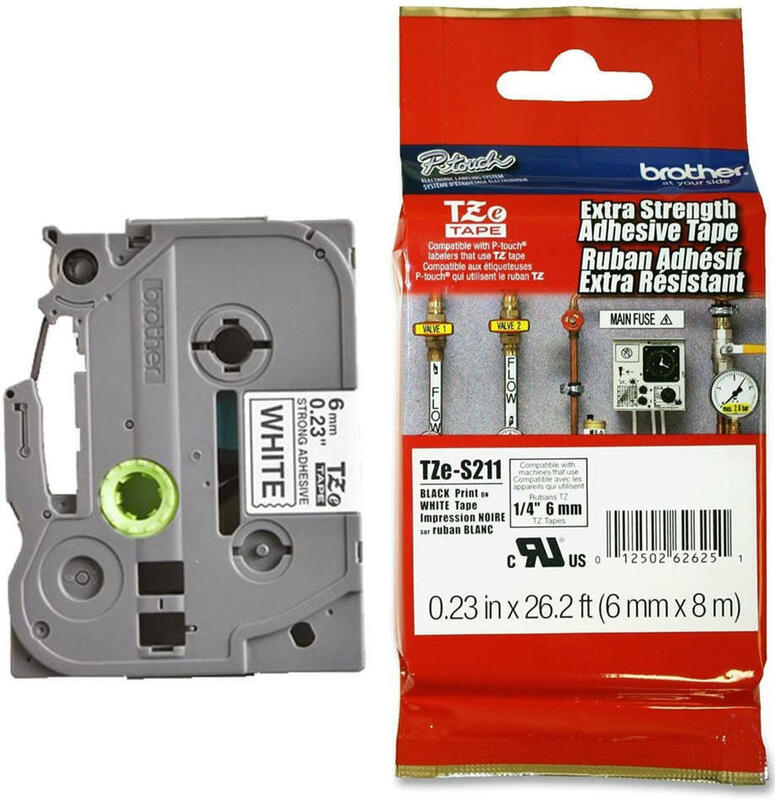 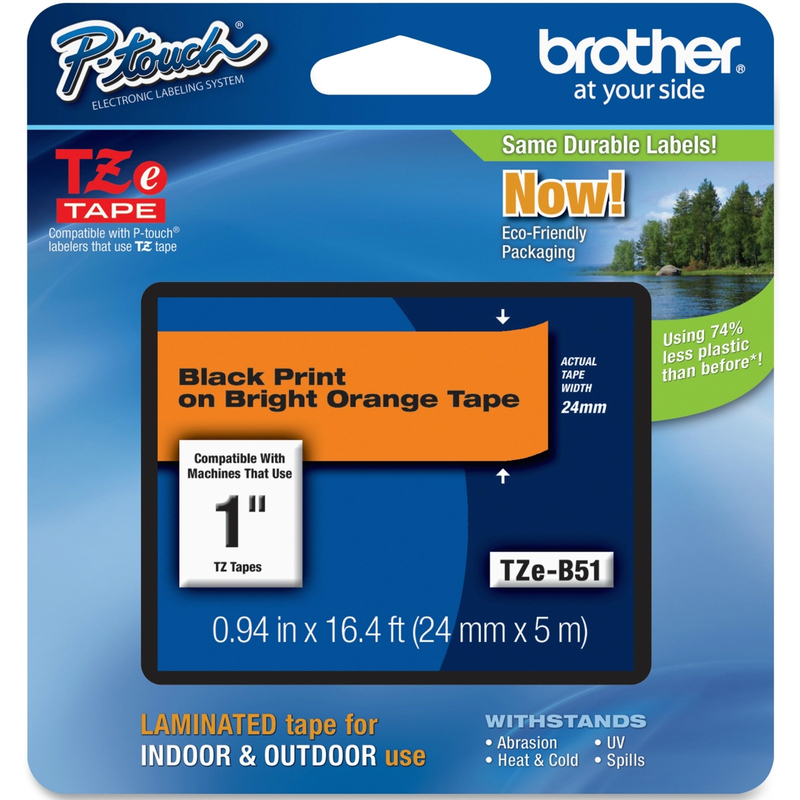 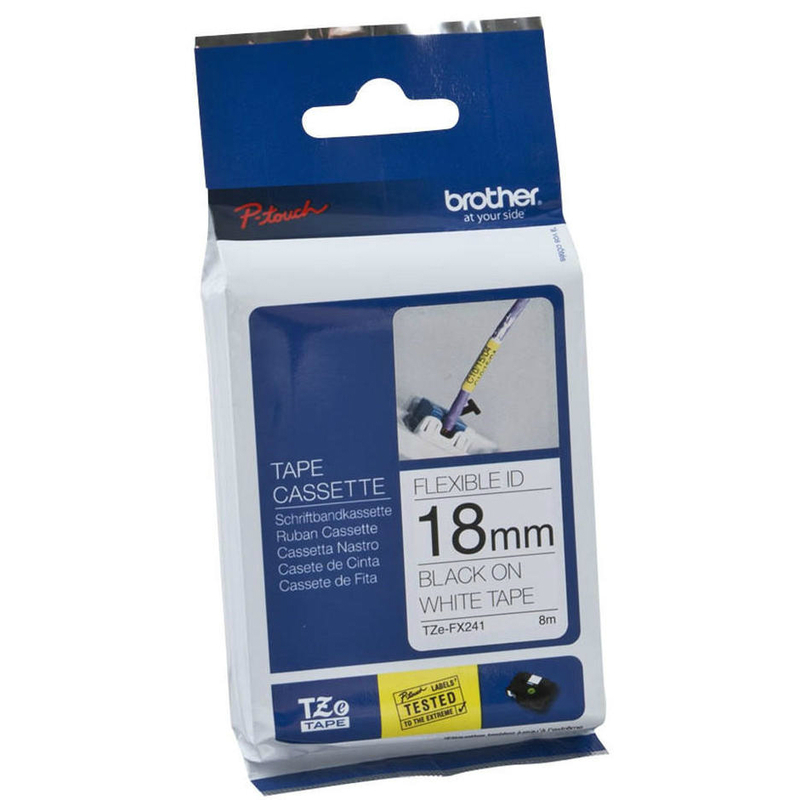 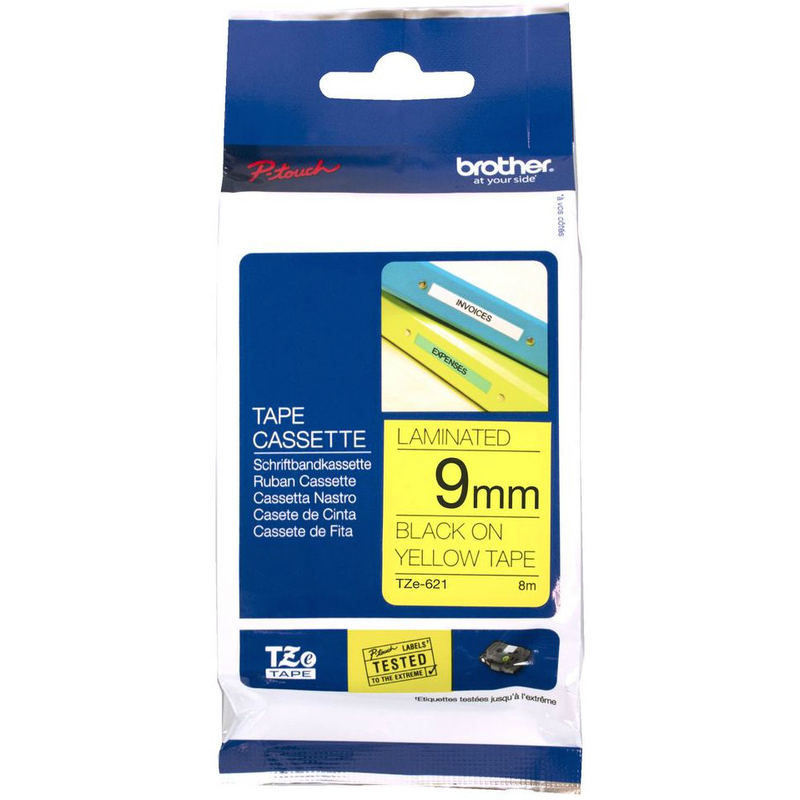 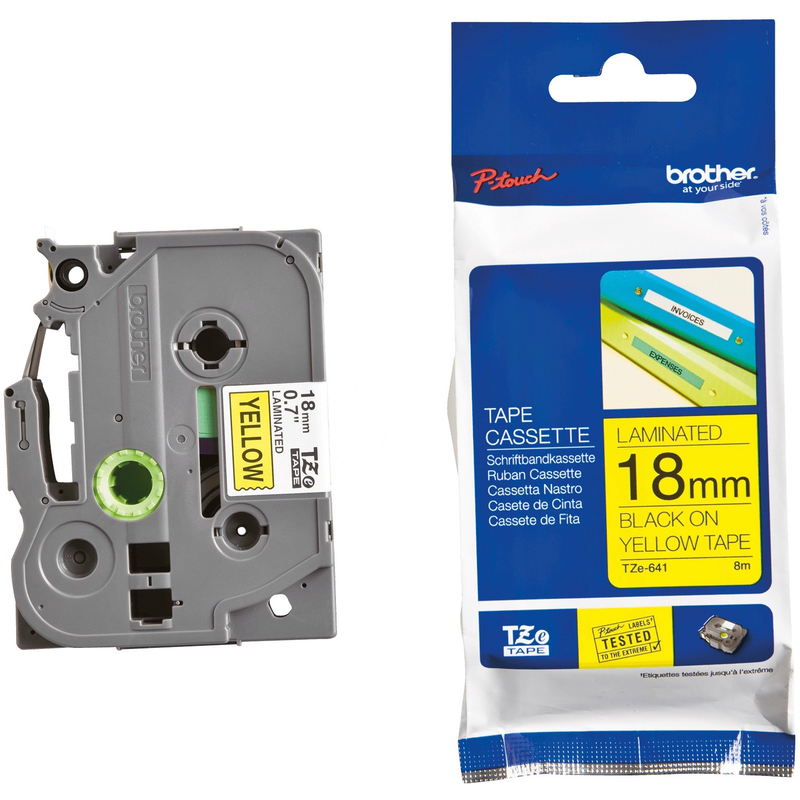 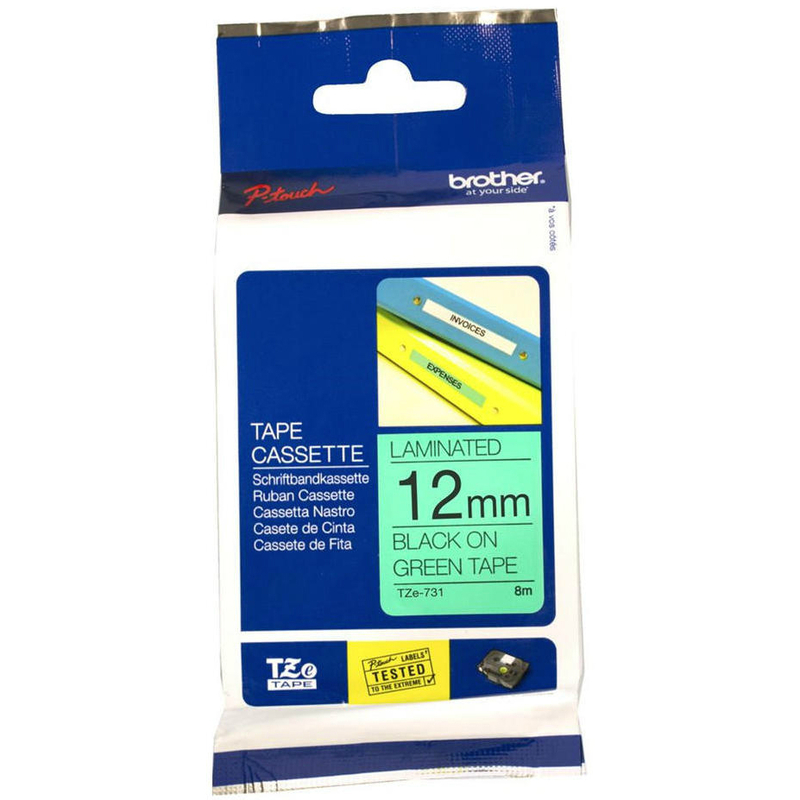 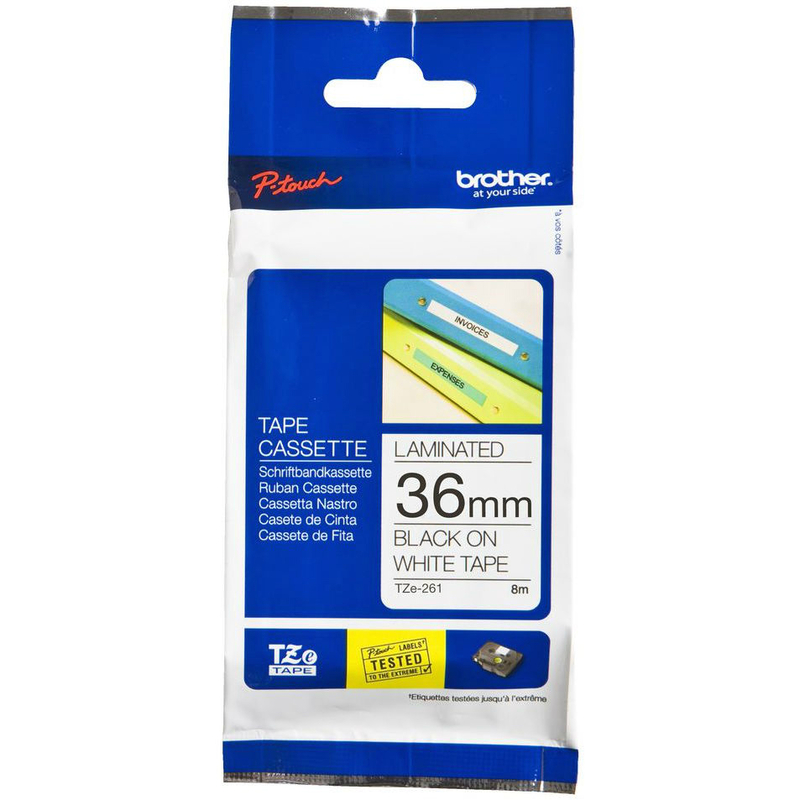 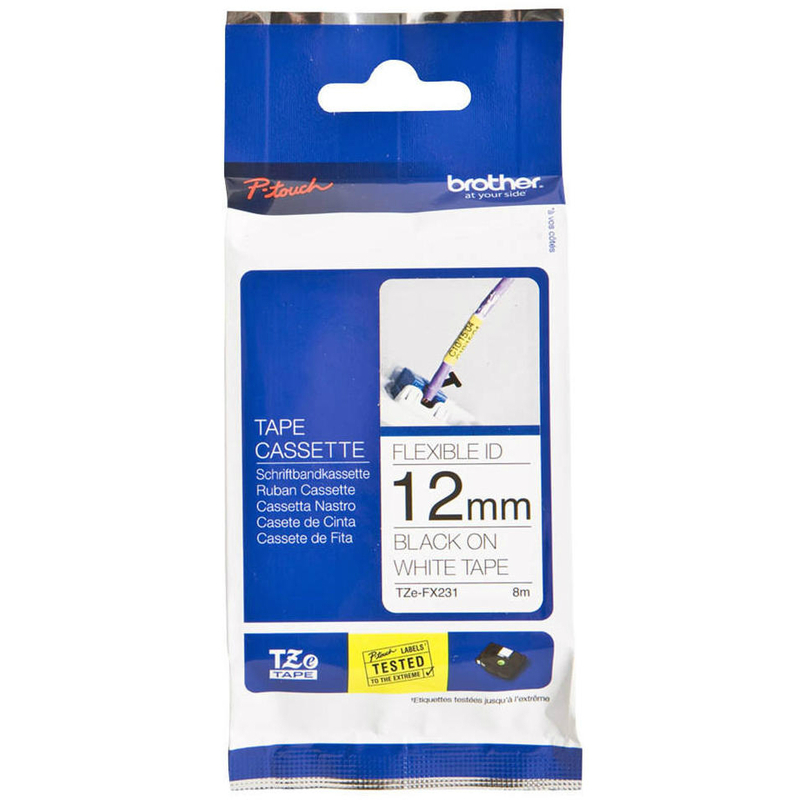 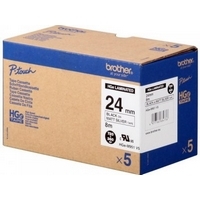 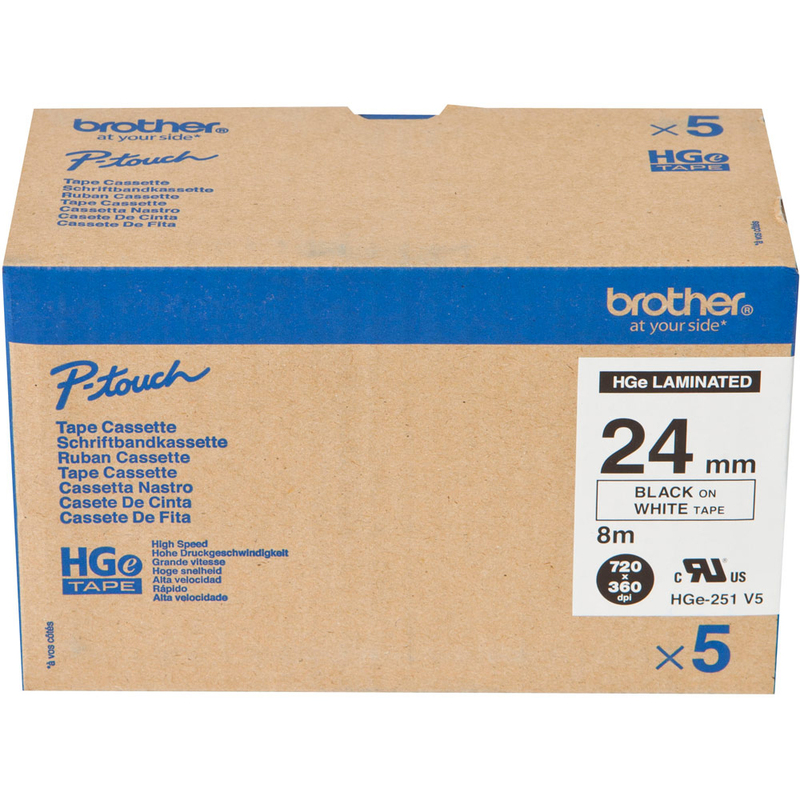 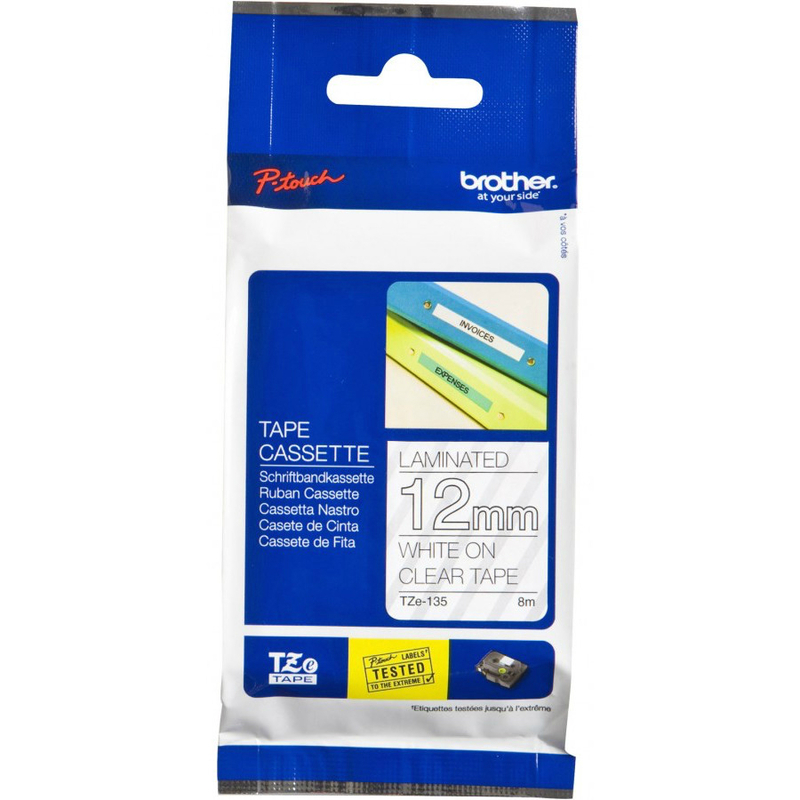 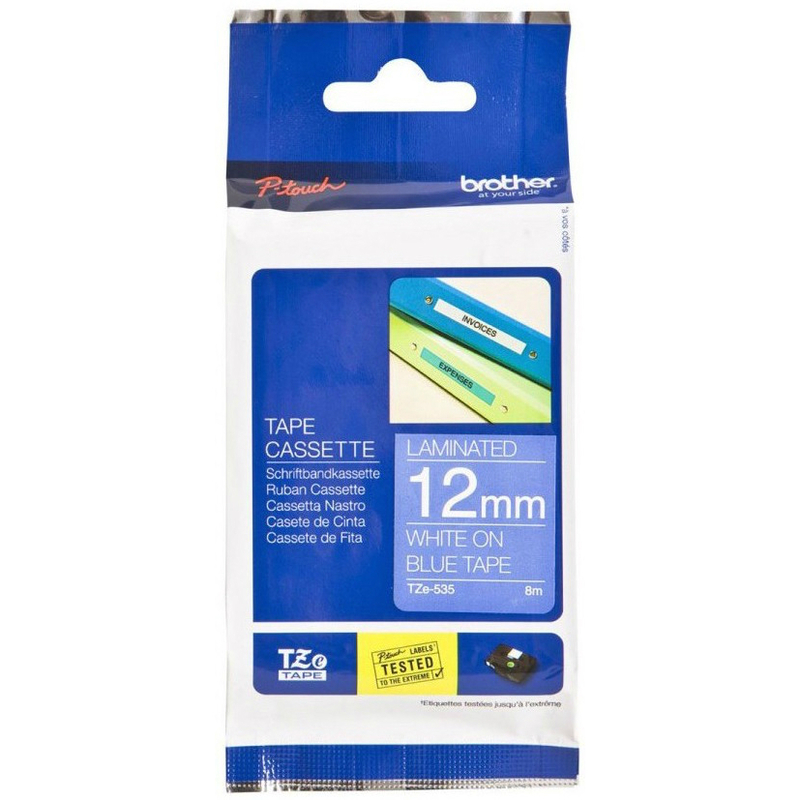 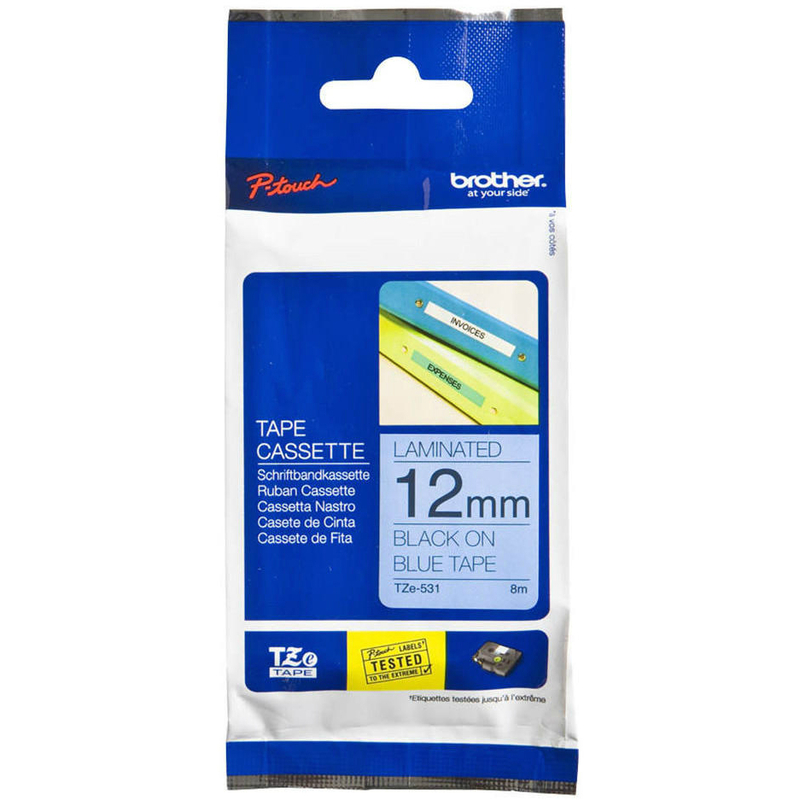 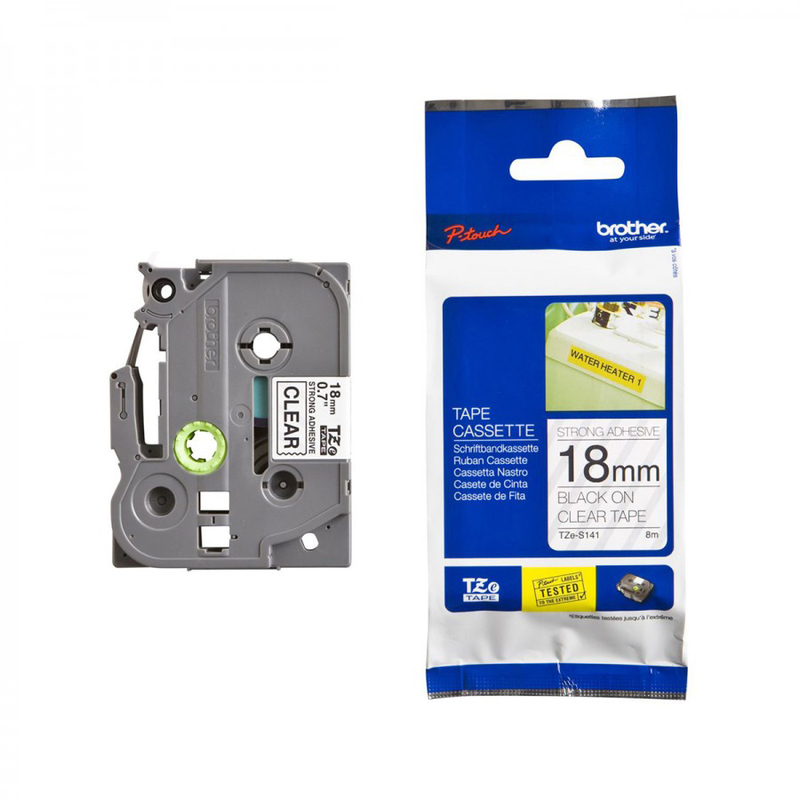 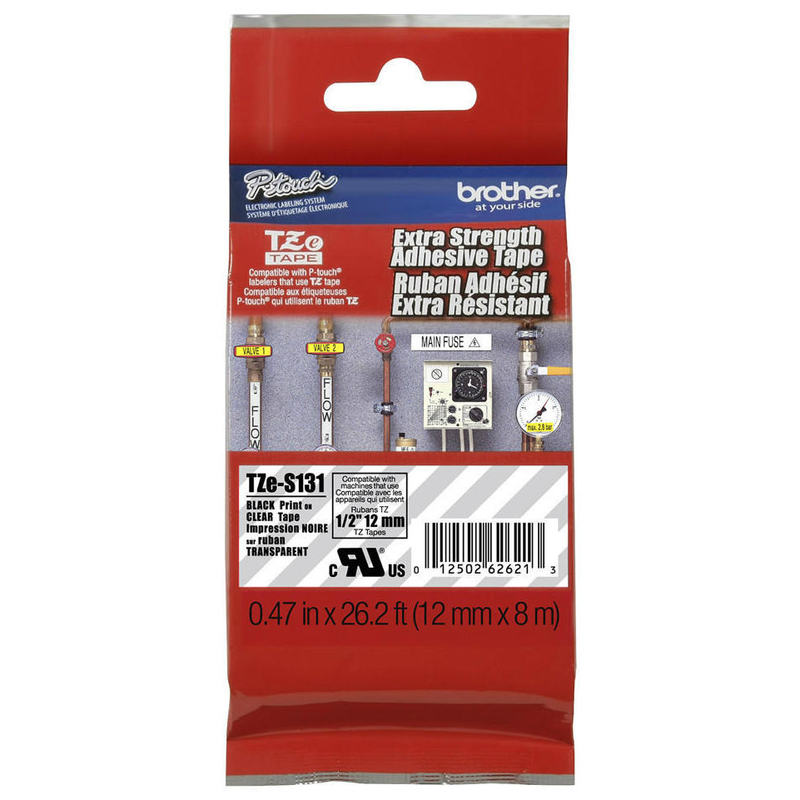 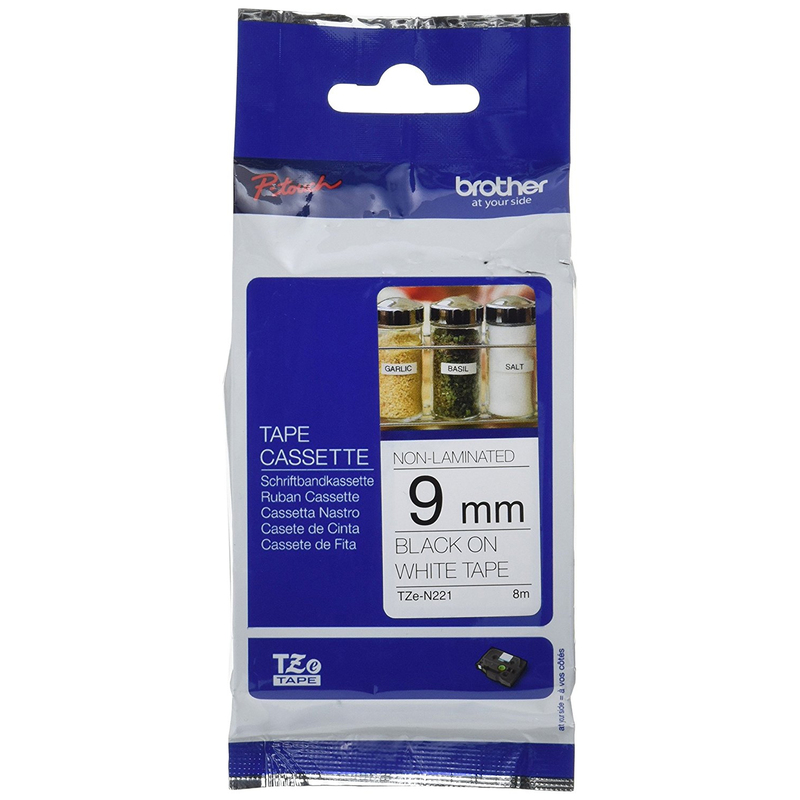 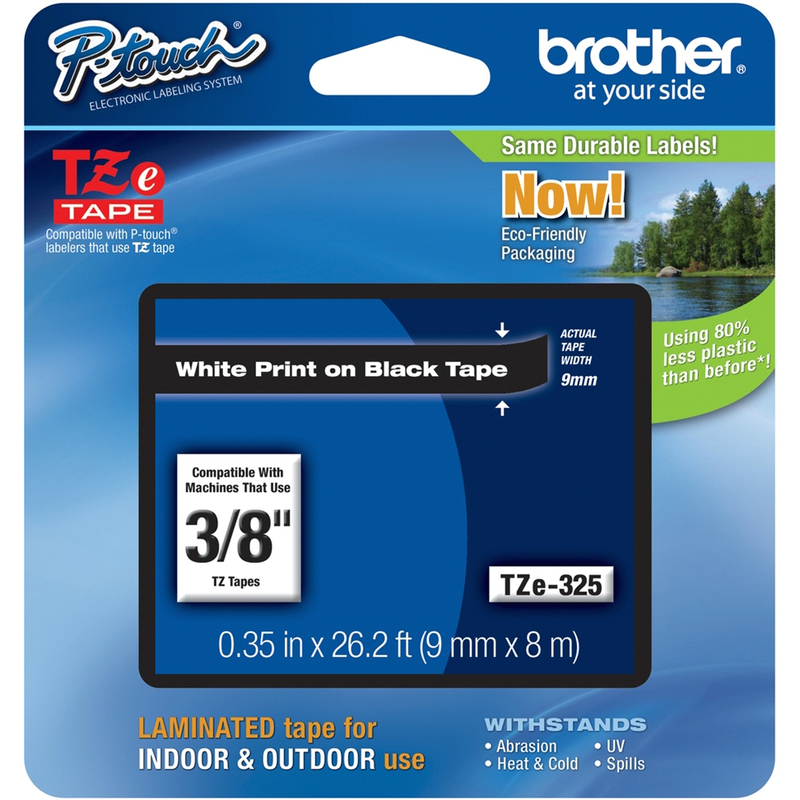 This 12mm wide Brother TZEMQG35 white on lime green matt laminated tape comes in 5 metres.